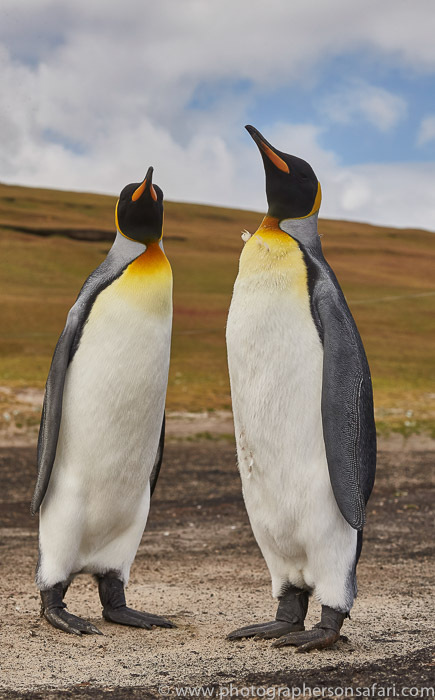 The Falkland Islands are hosts to five species of Penguins, plus Seals, Sea Lions, Albatross and no less than 227 species of birds. 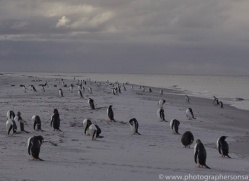 It has been described as an open-air zoo with no fences or signs. 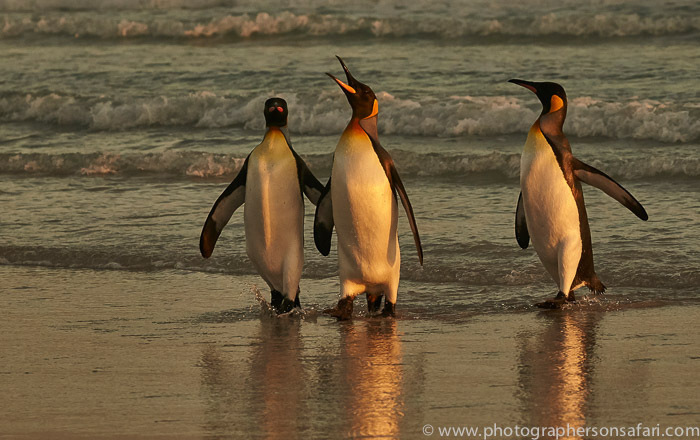 I will be doing my first trip to a place that is, without doubt, one of the world’s best locations for wildlife photography. 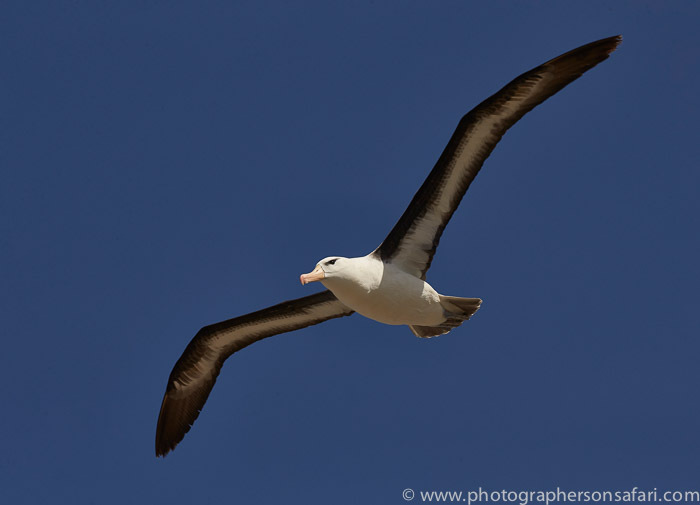 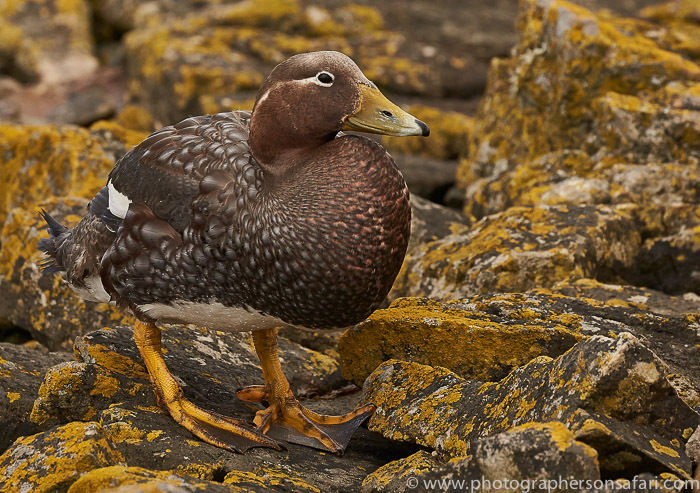 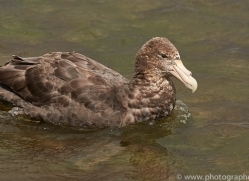 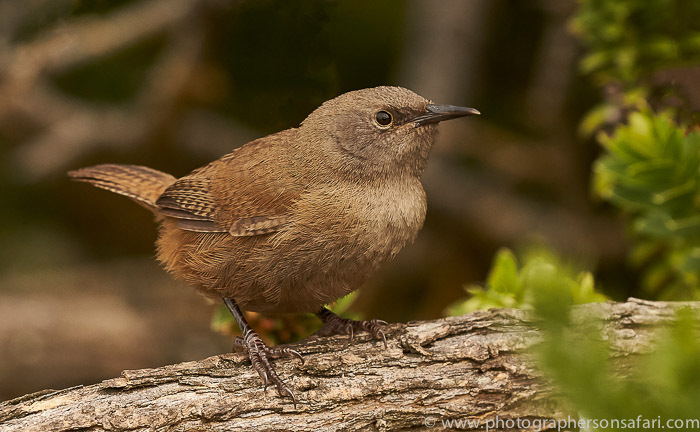 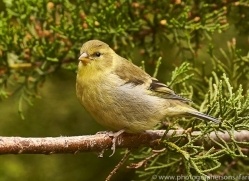 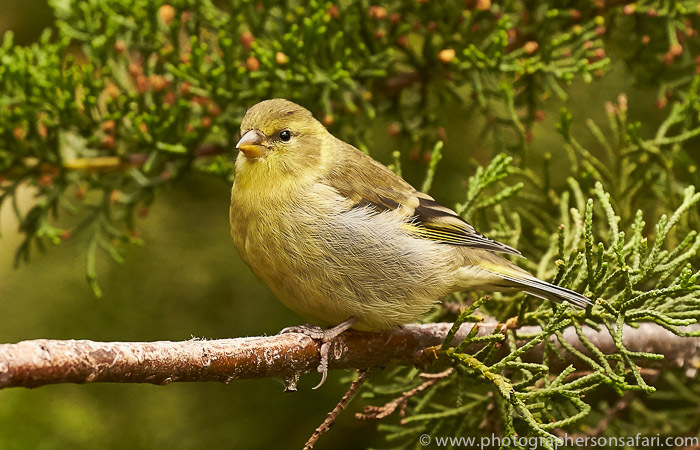 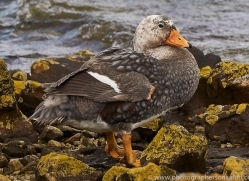 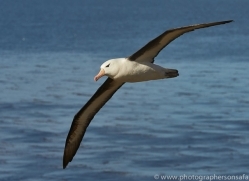 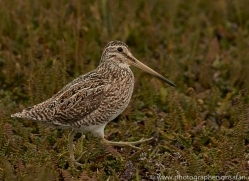 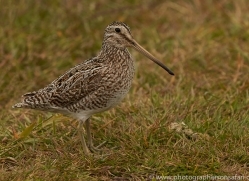 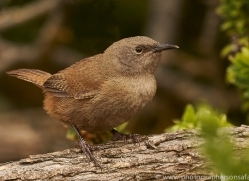 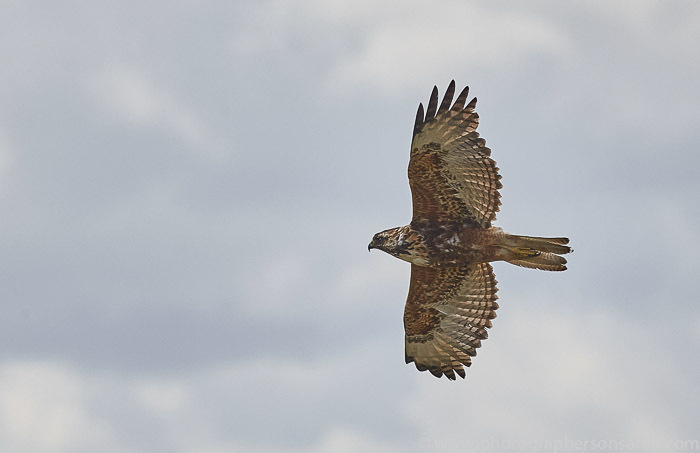 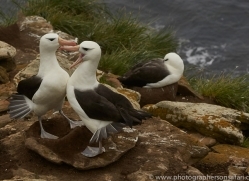 Photographing on these islands is like being on the Galapagos Islands without being restricted to paths and walkways. 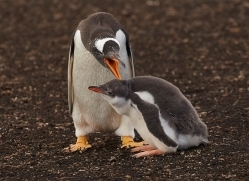 Providing you do nothing to harm your subjects you are free to go wherever you like. 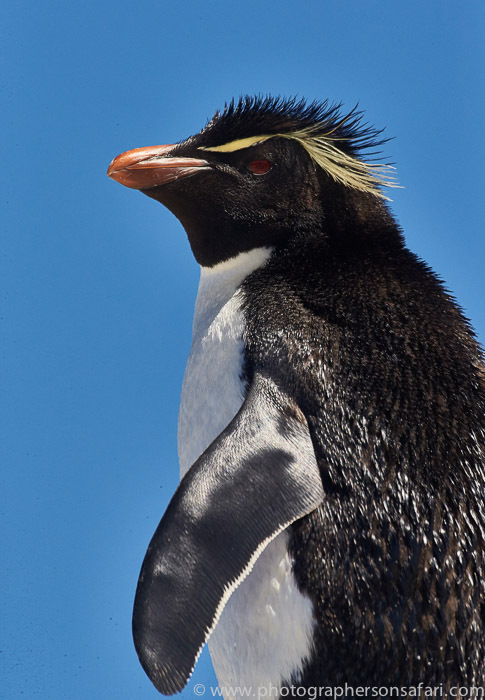 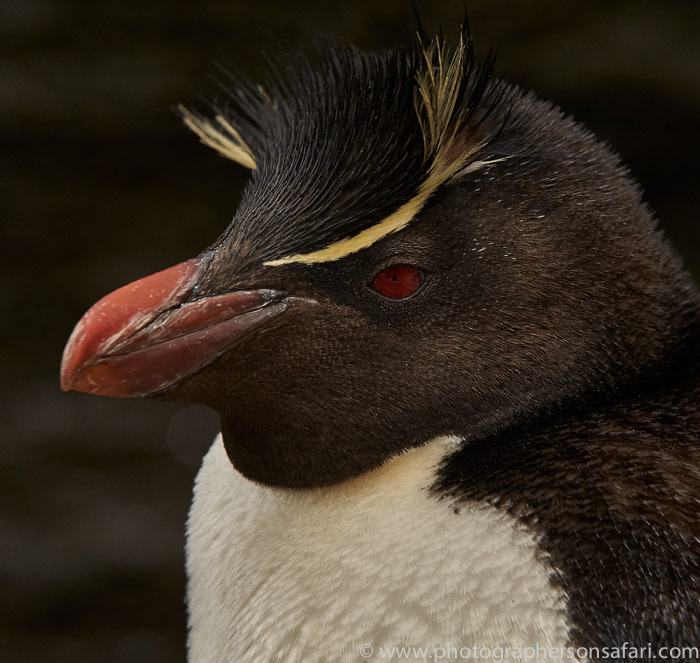 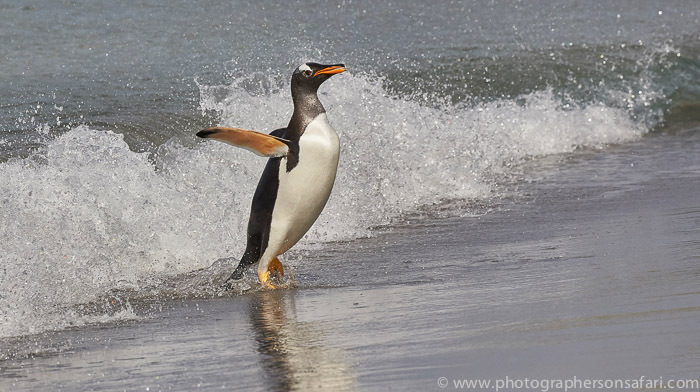 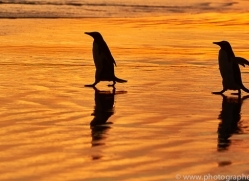 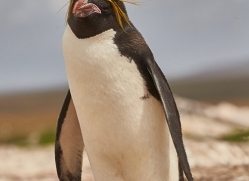 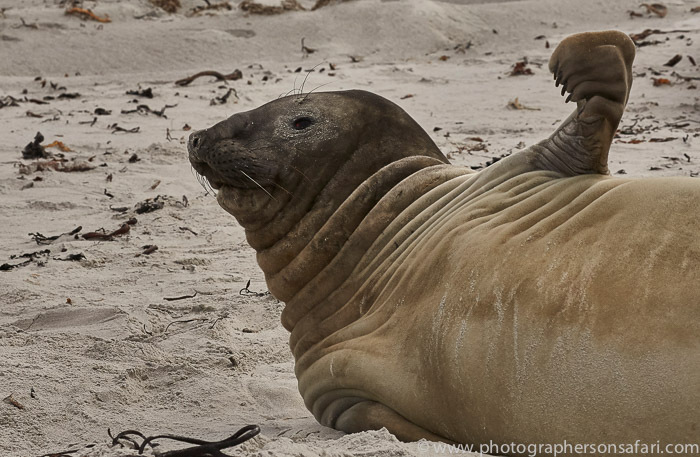 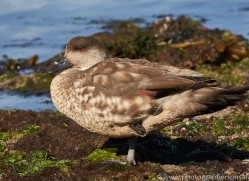 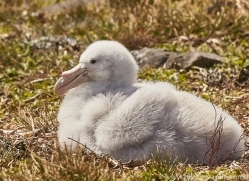 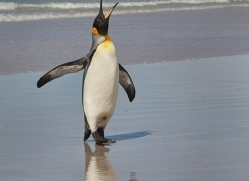 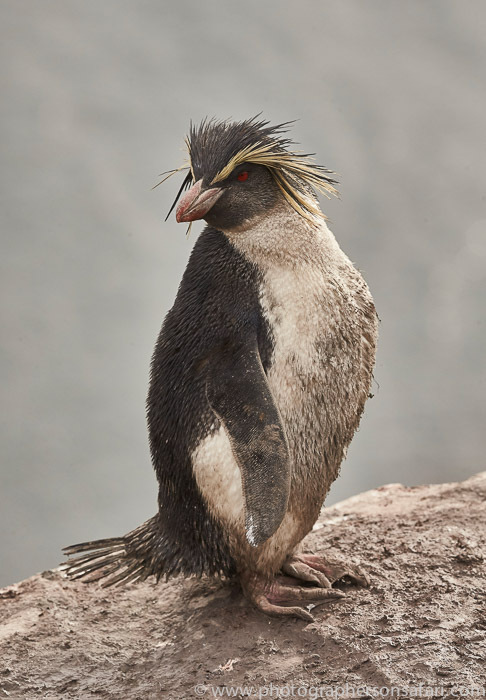 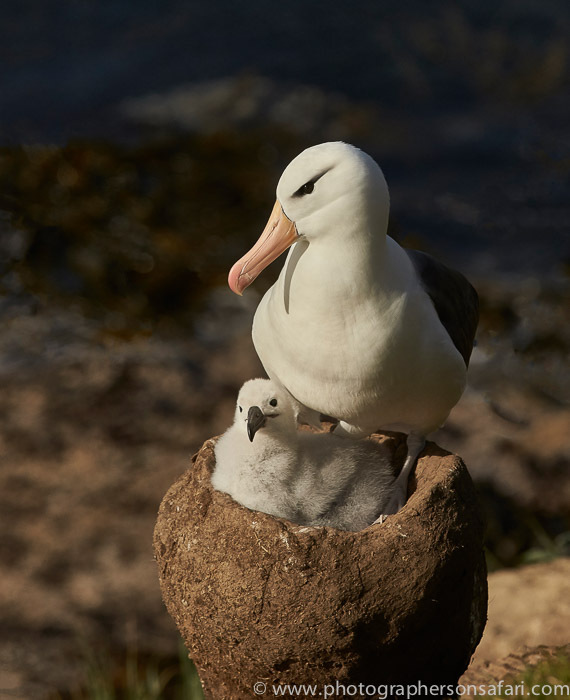 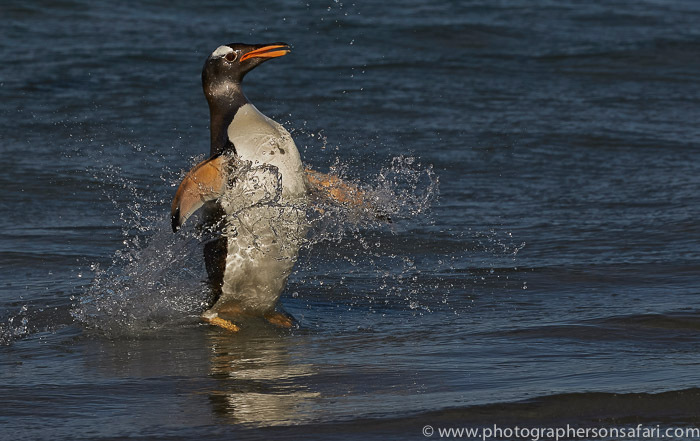 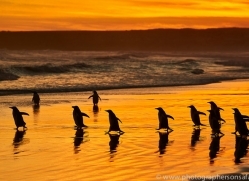 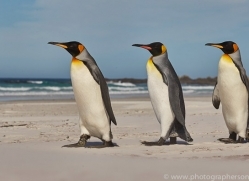 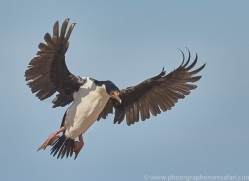 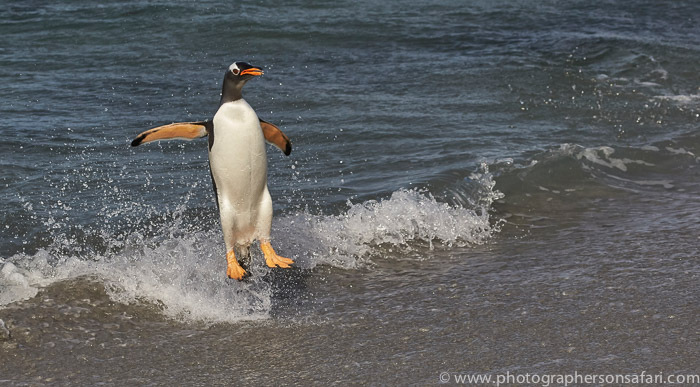 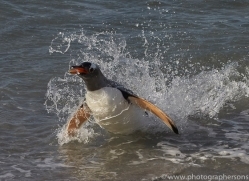 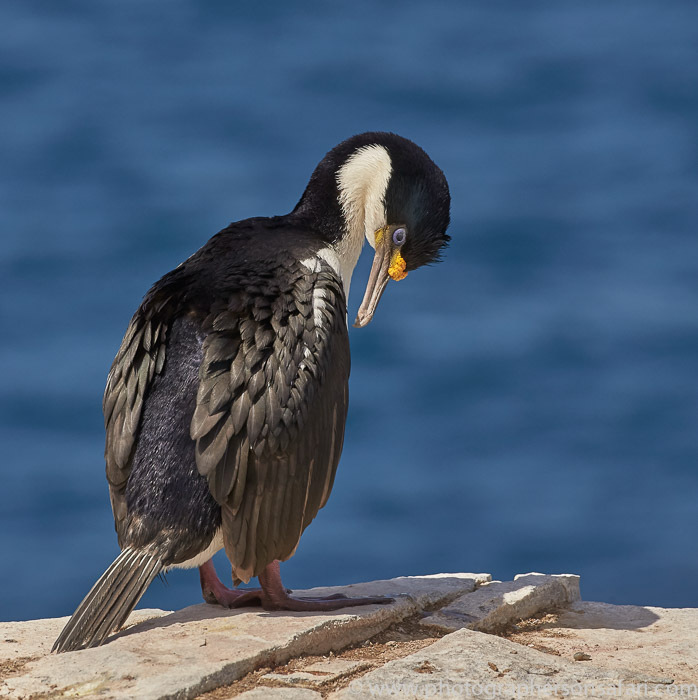 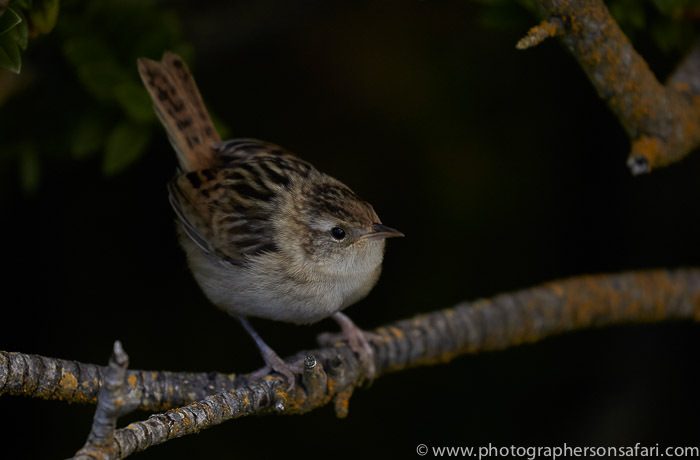 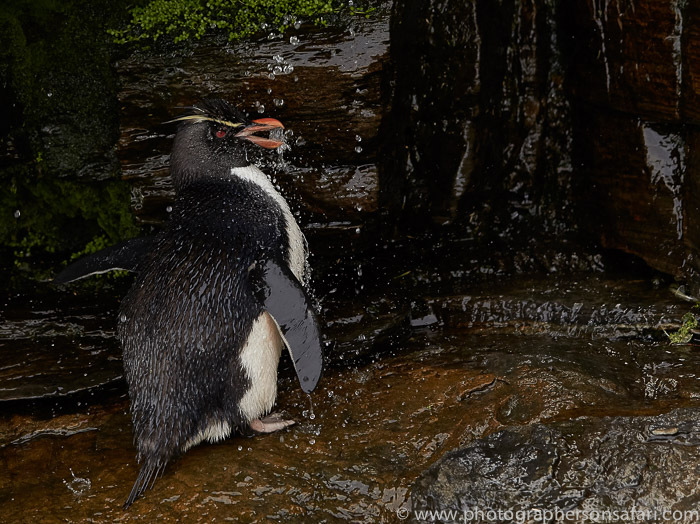 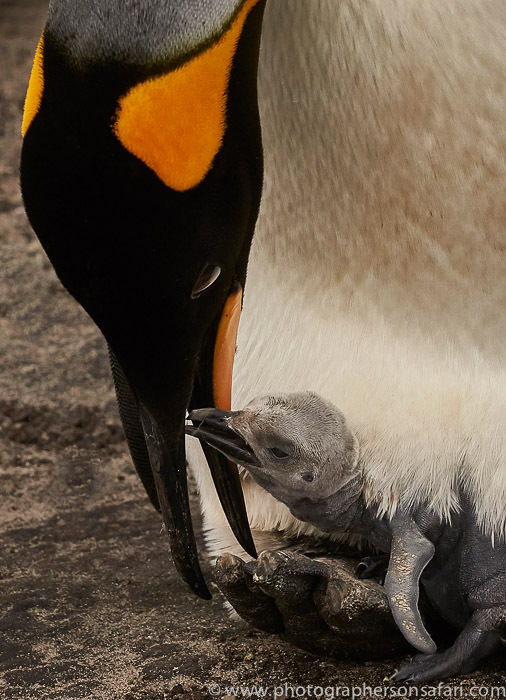 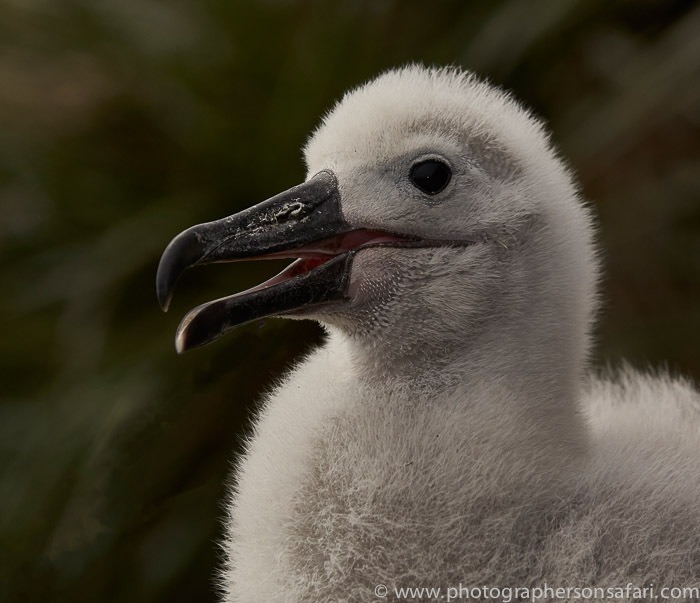 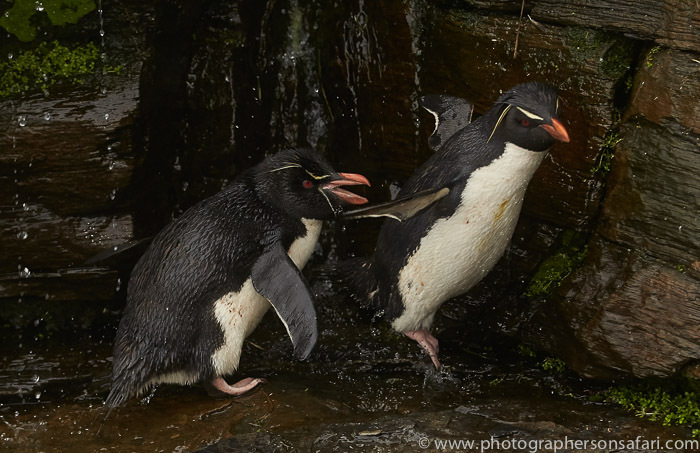 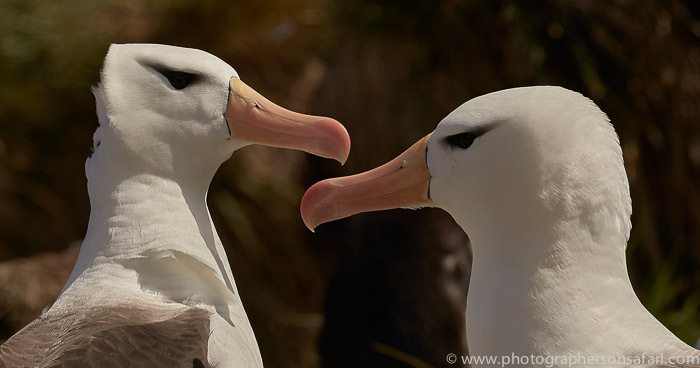 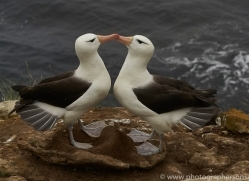 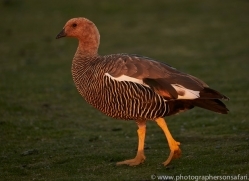 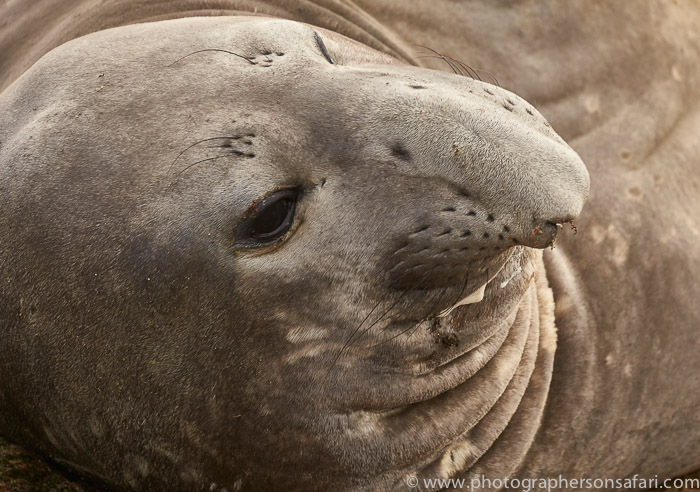 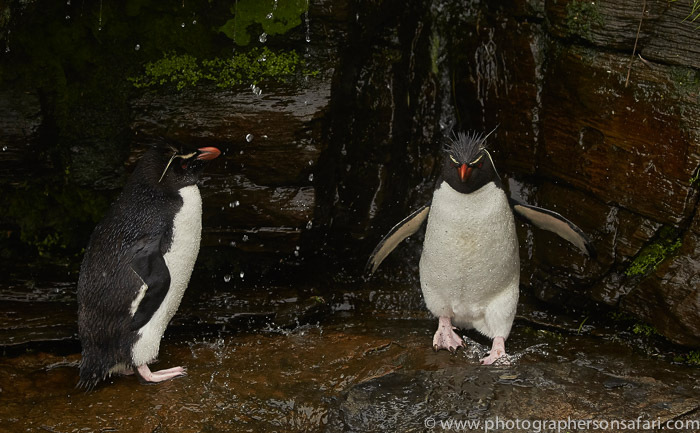 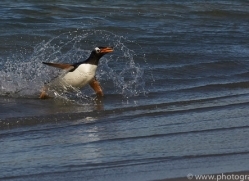 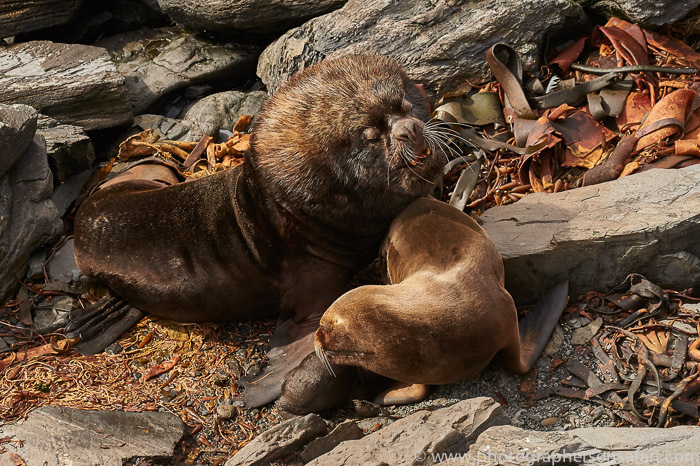 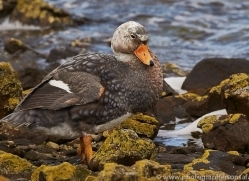 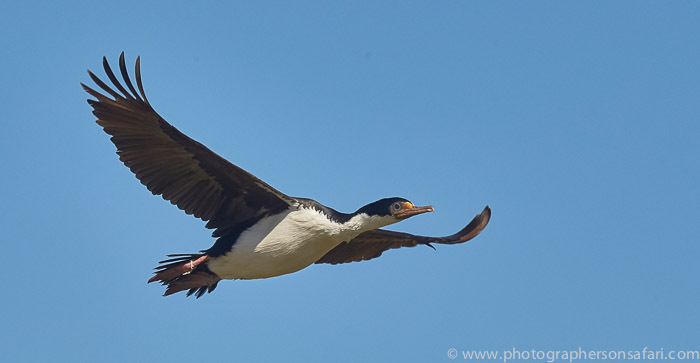 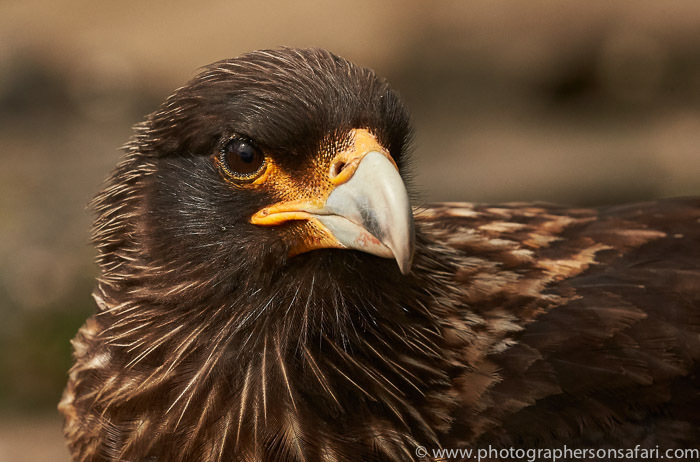 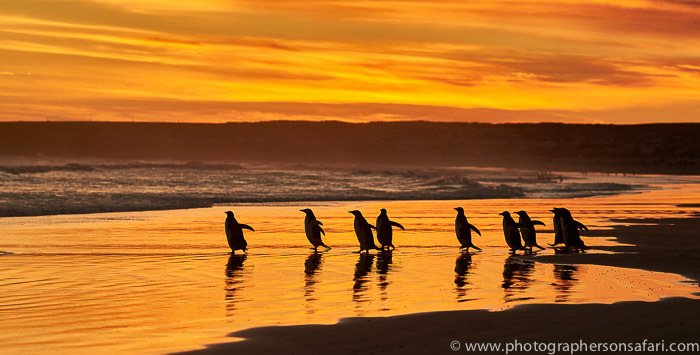 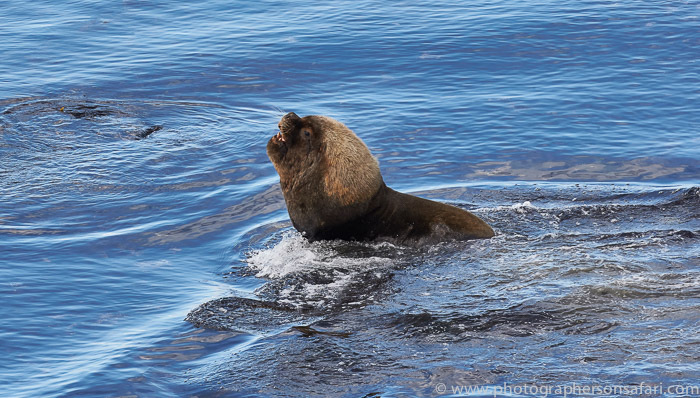 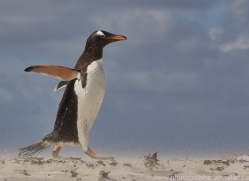 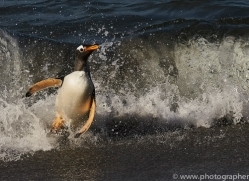 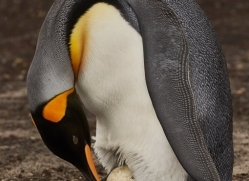 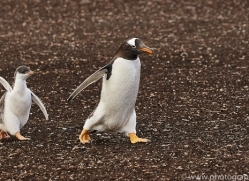 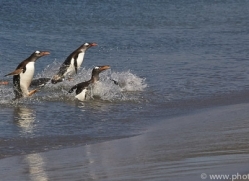 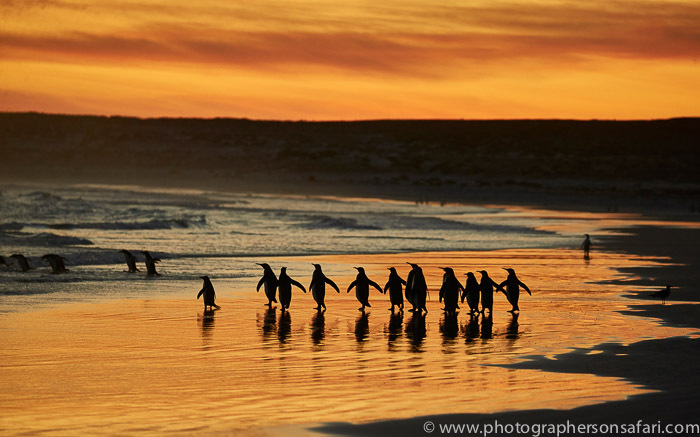 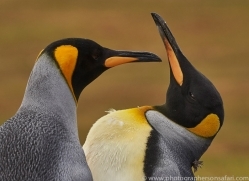 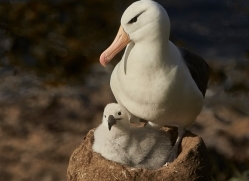 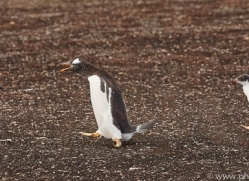 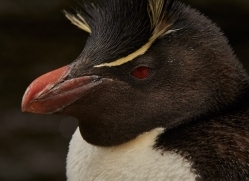 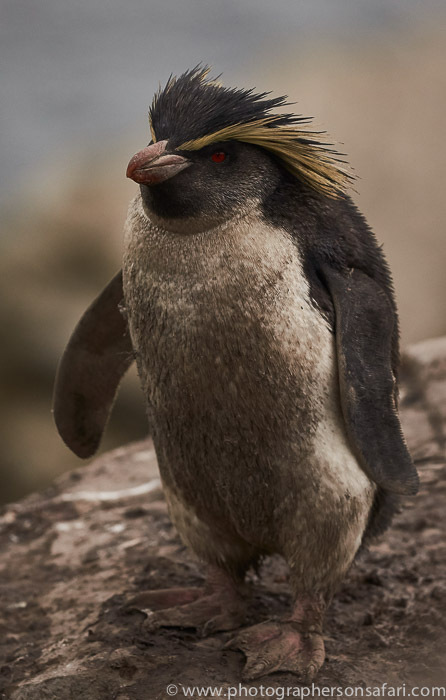 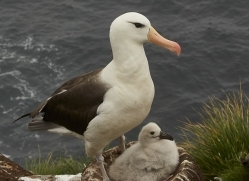 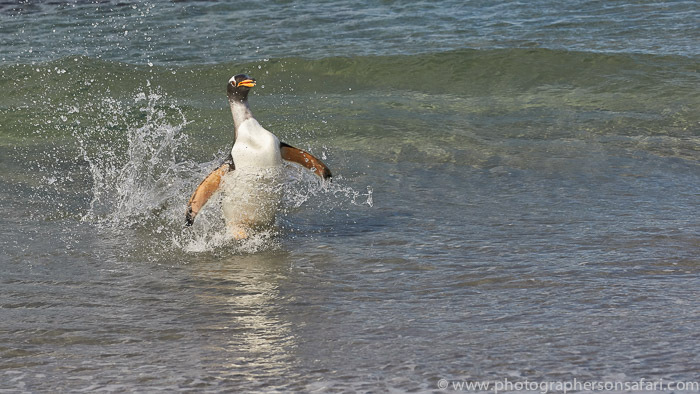 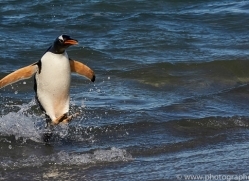 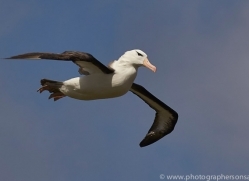 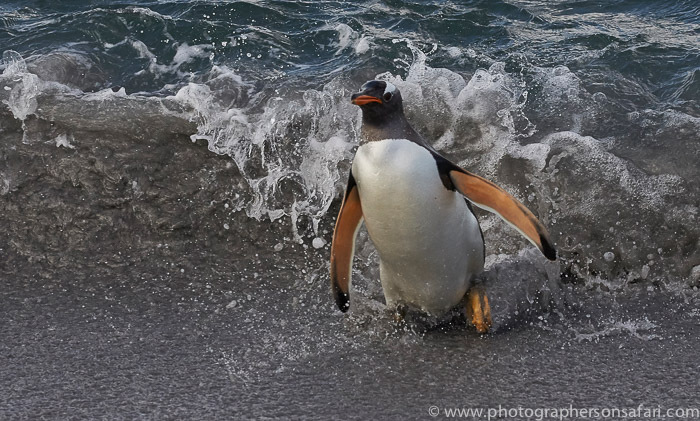 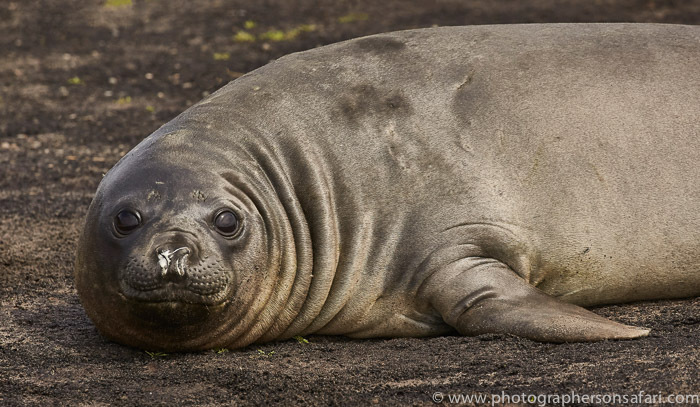 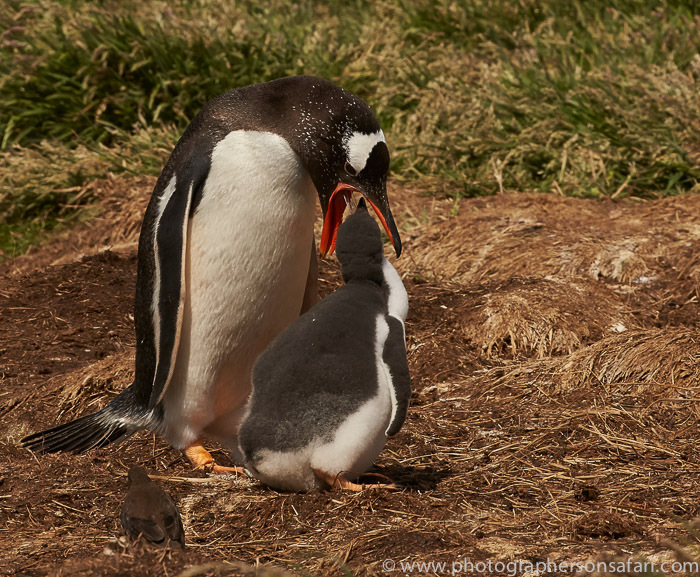 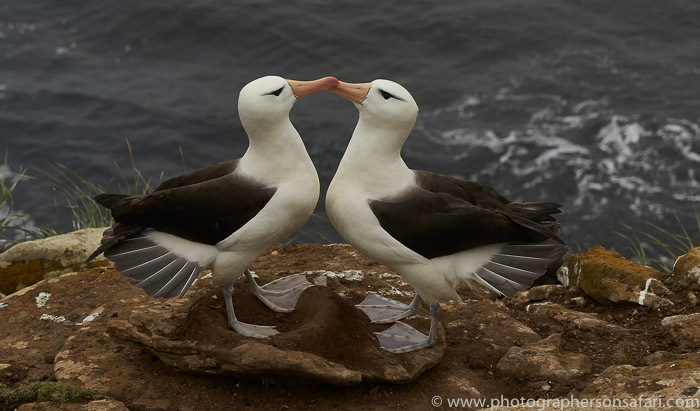 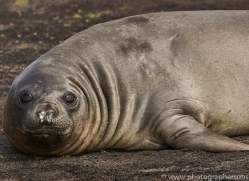 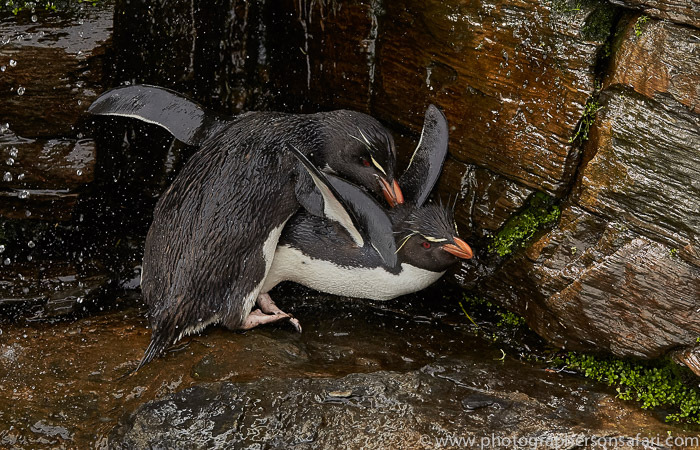 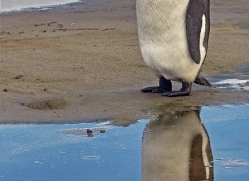 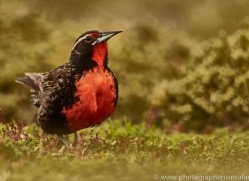 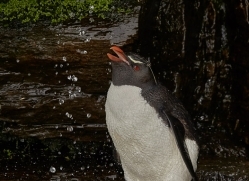 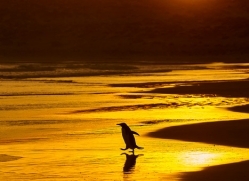 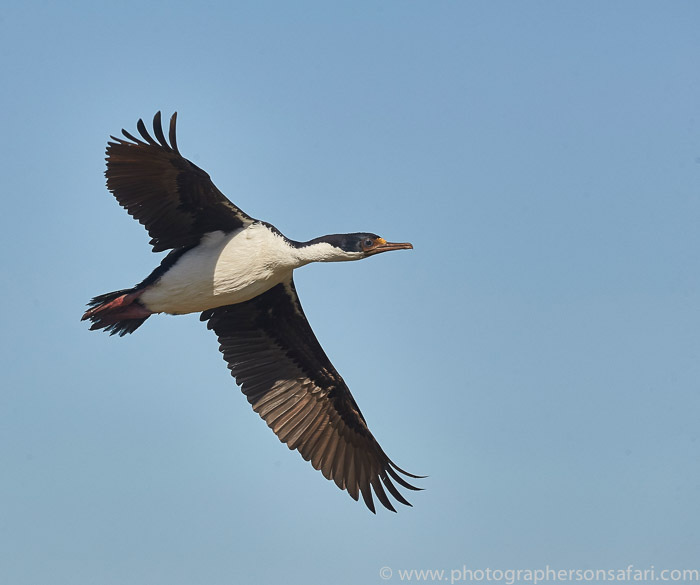 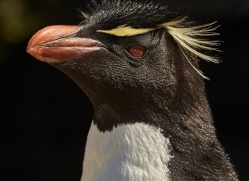 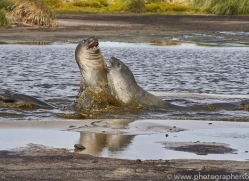 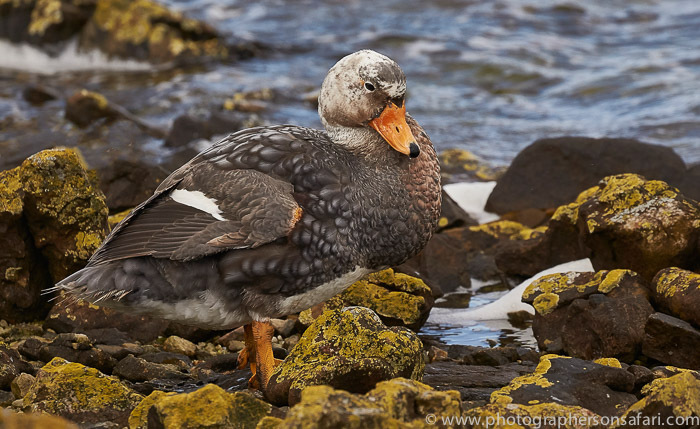 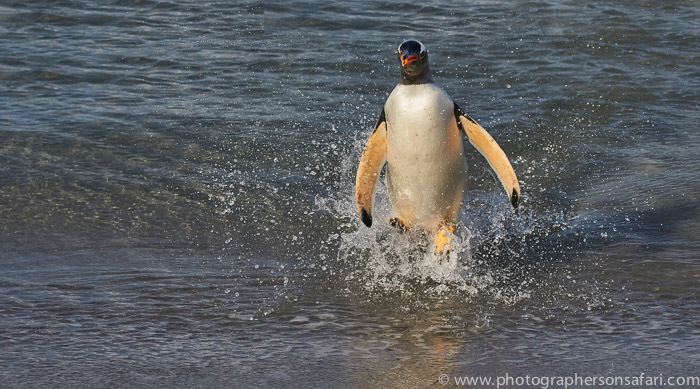 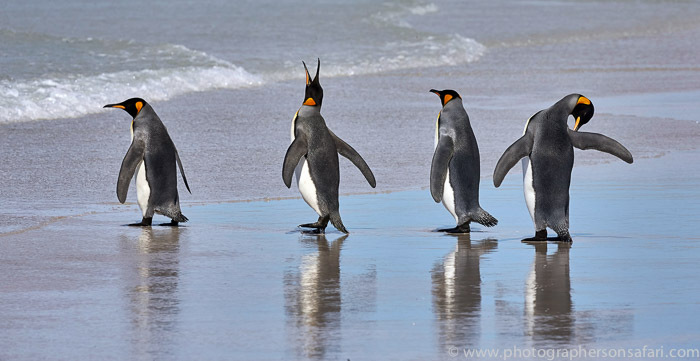 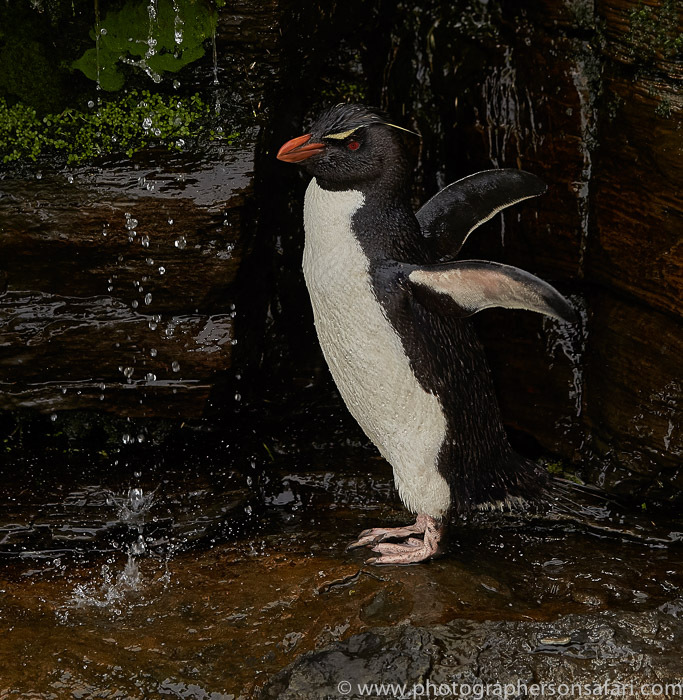 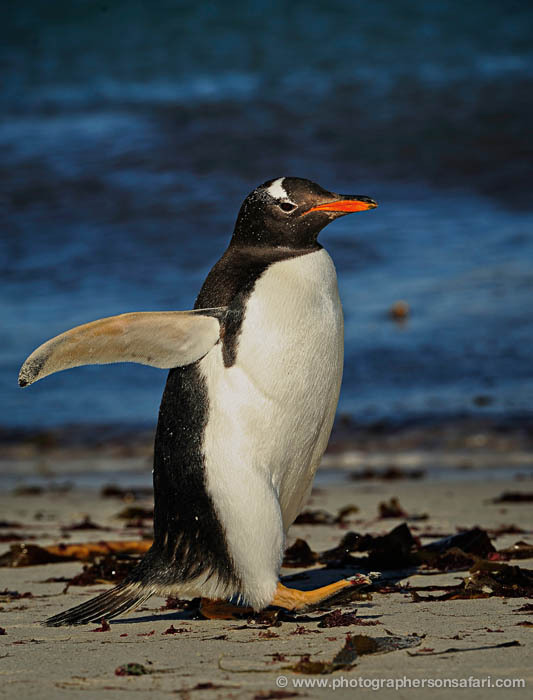 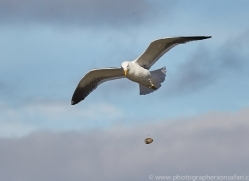 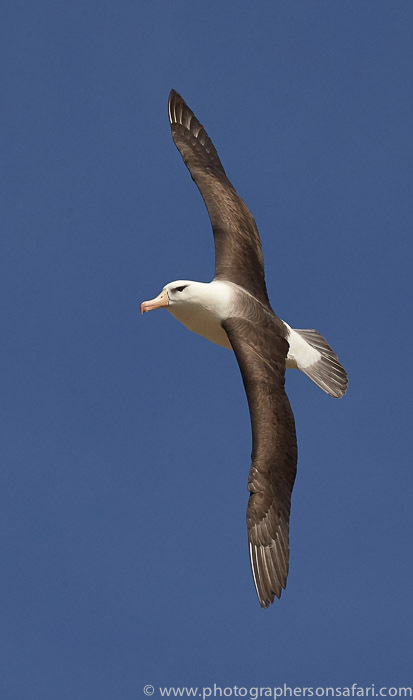 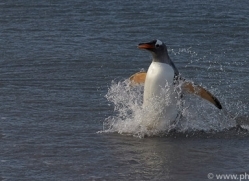 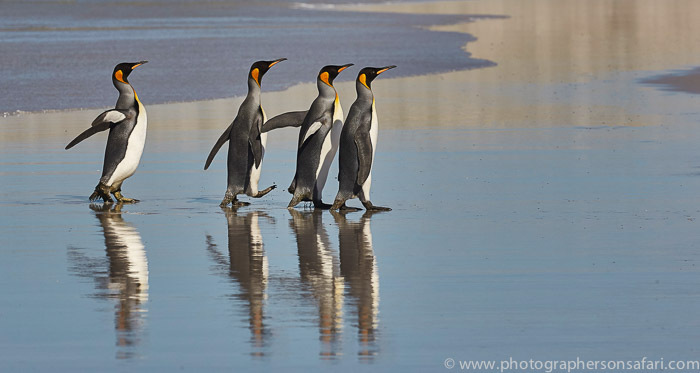 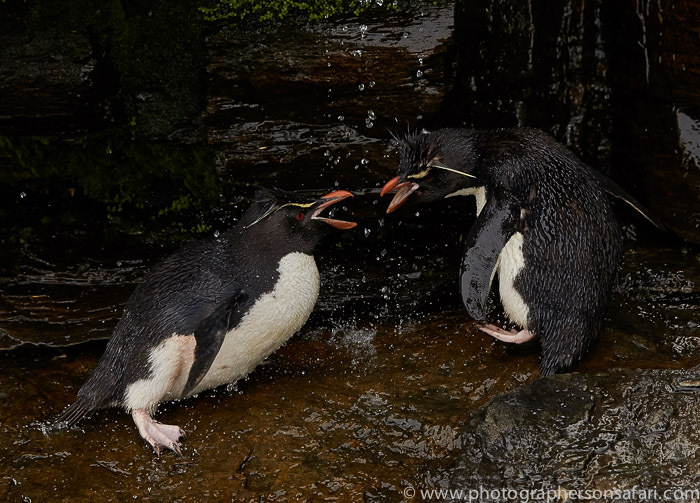 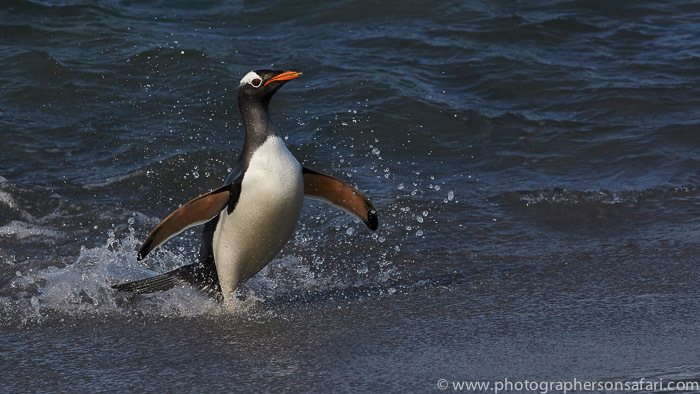 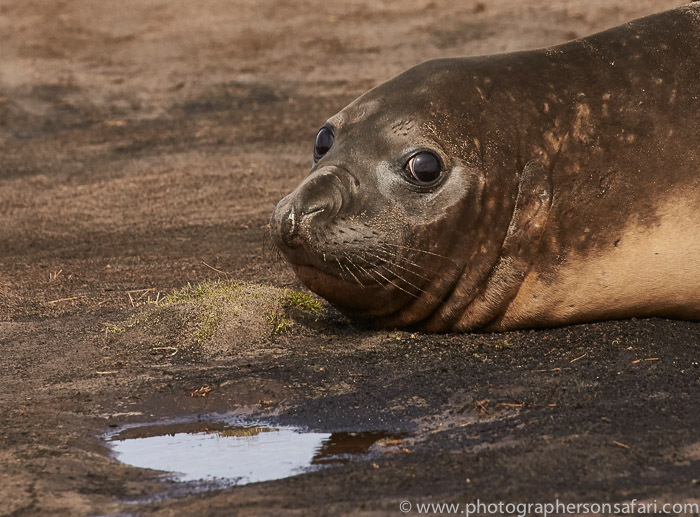 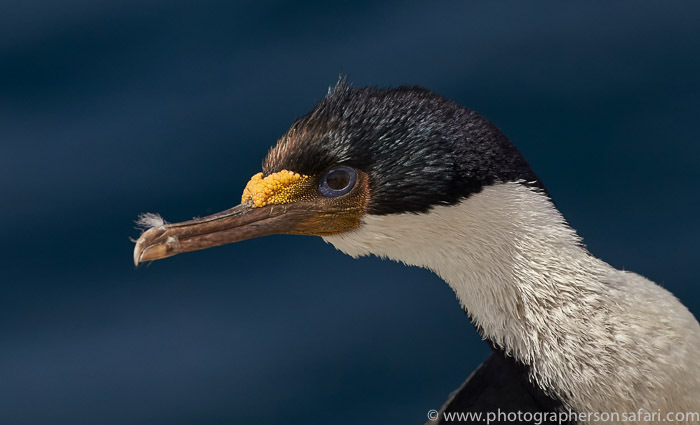 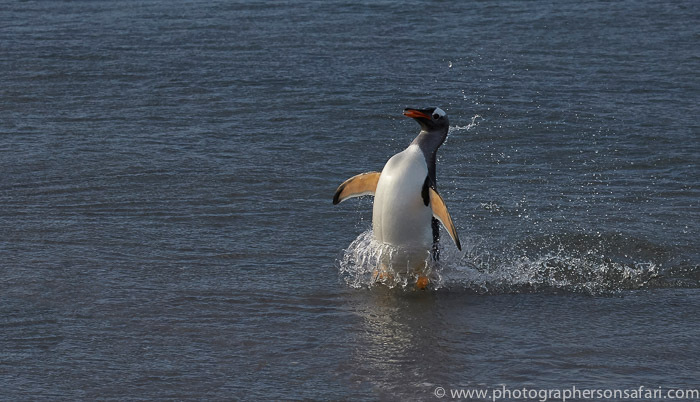 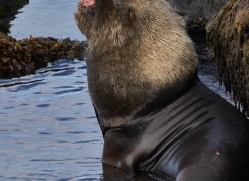 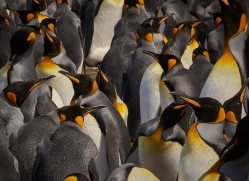 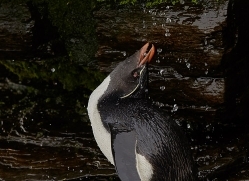 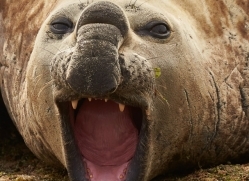 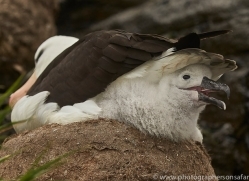 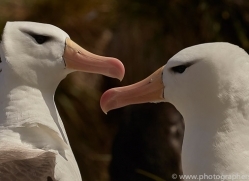 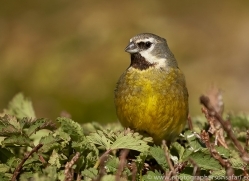 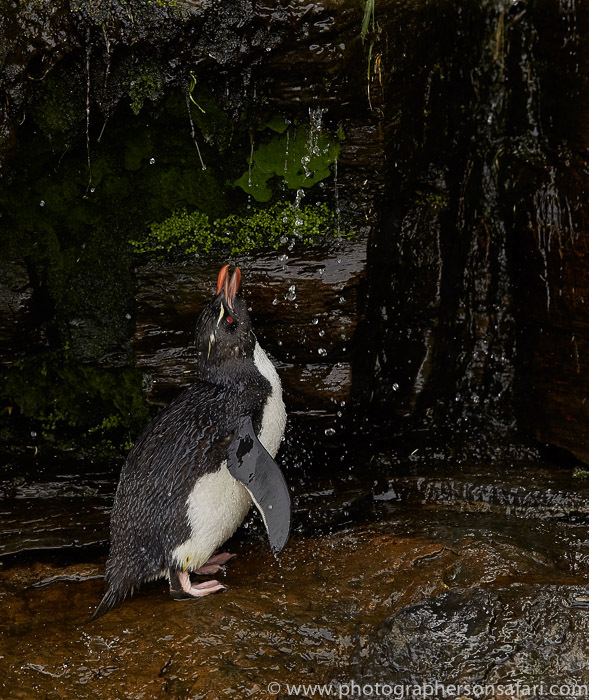 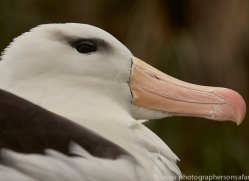 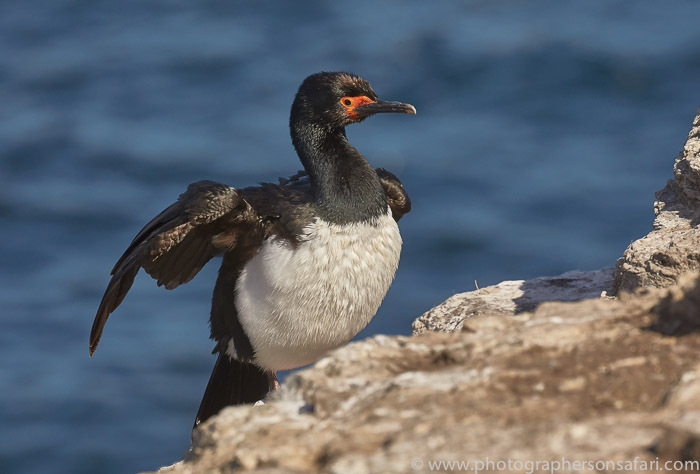 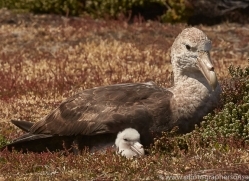 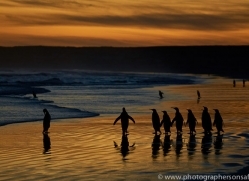 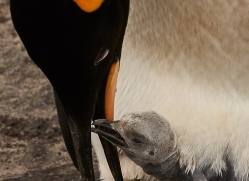 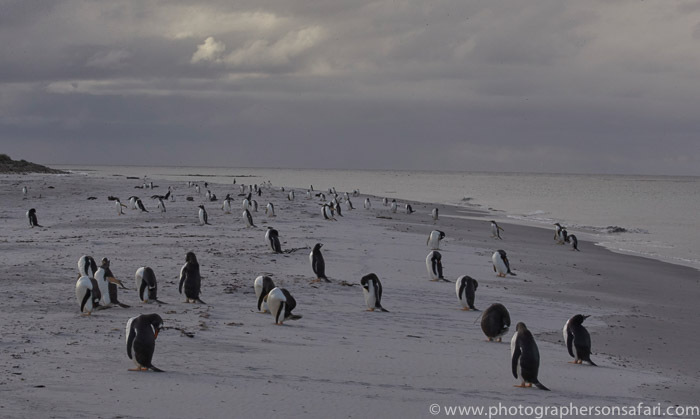 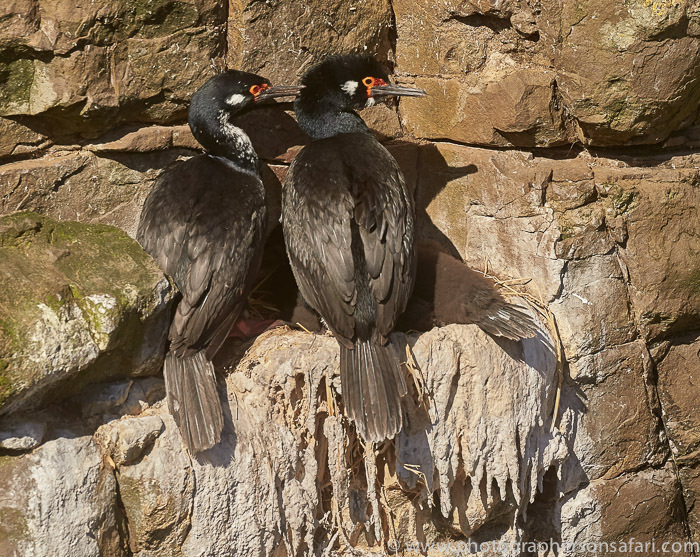 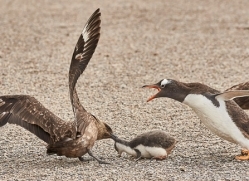 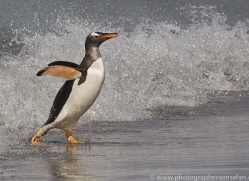 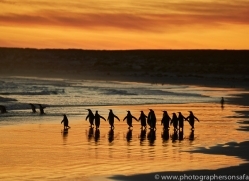 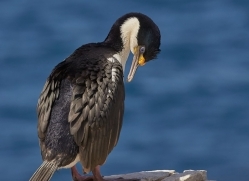 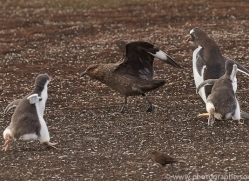 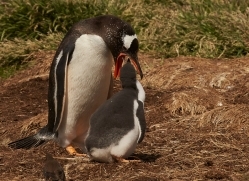 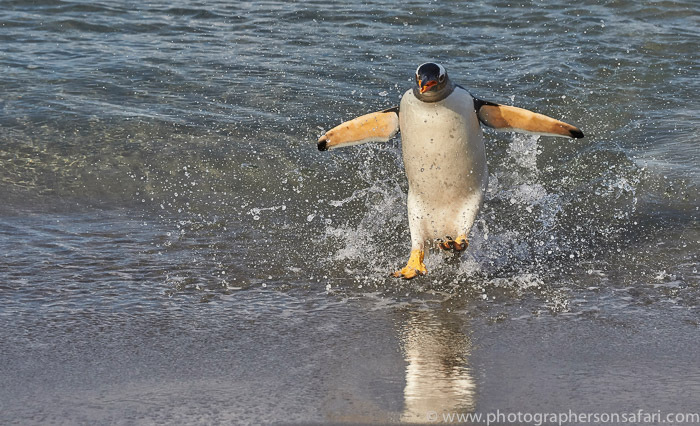 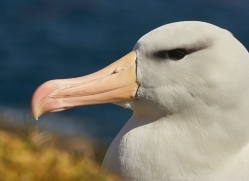 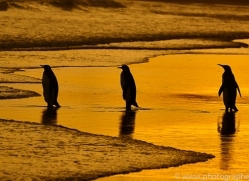 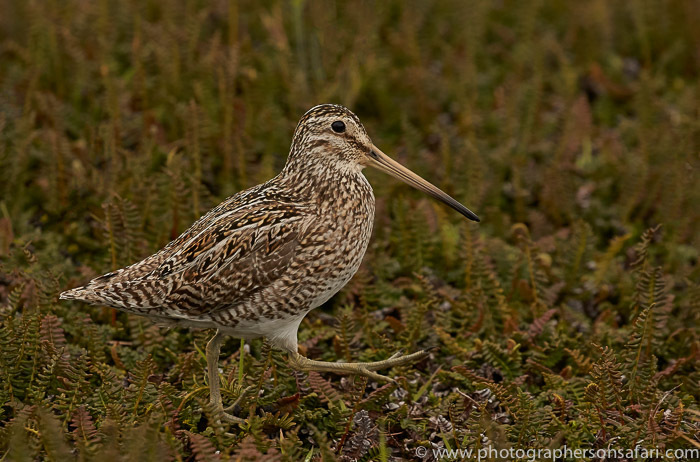 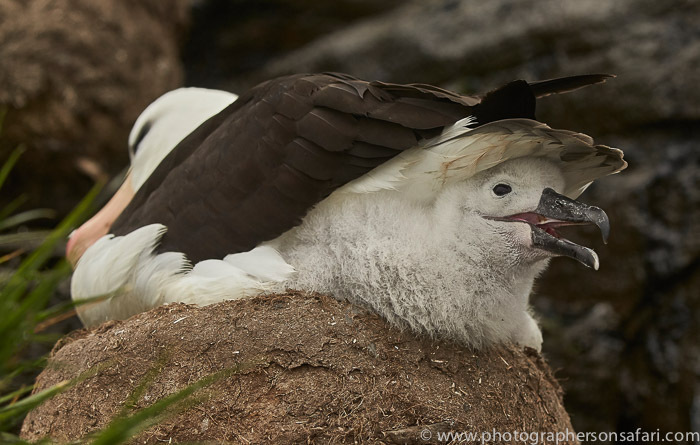 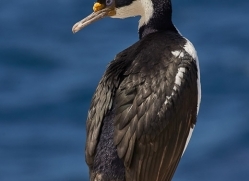 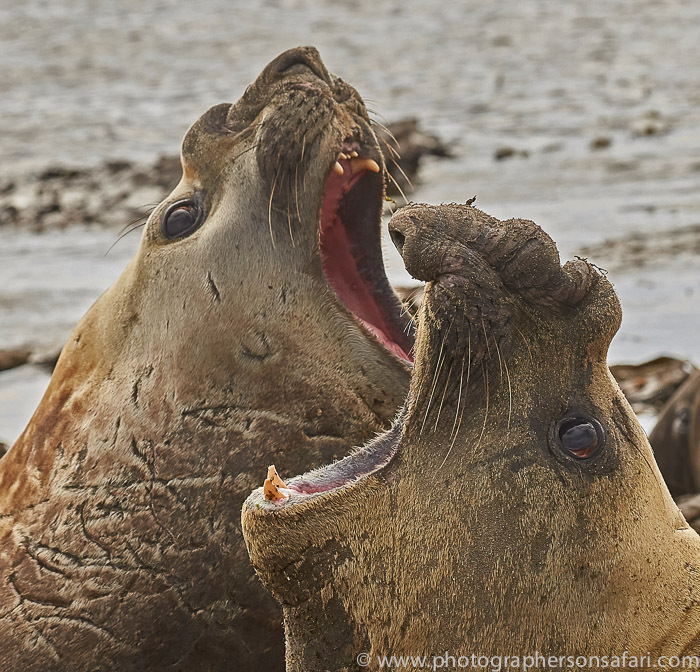 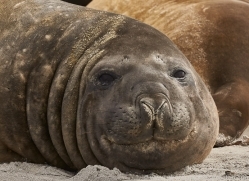 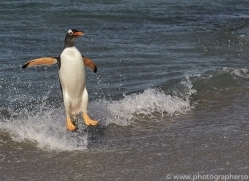 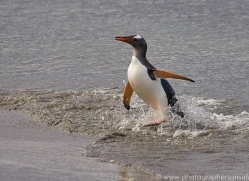 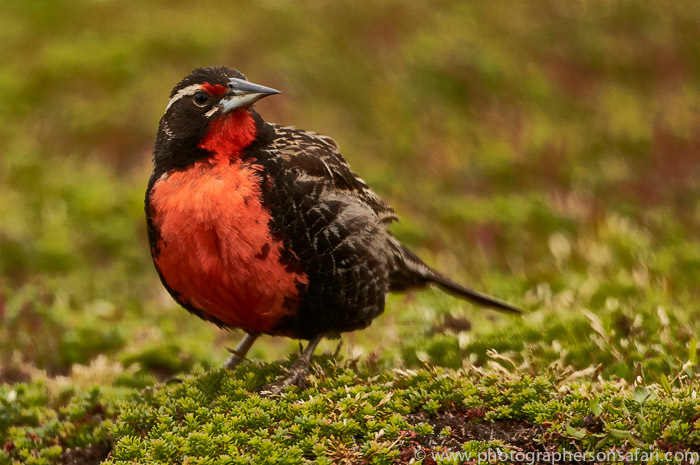 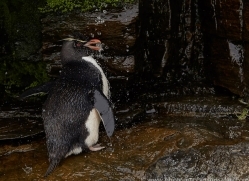 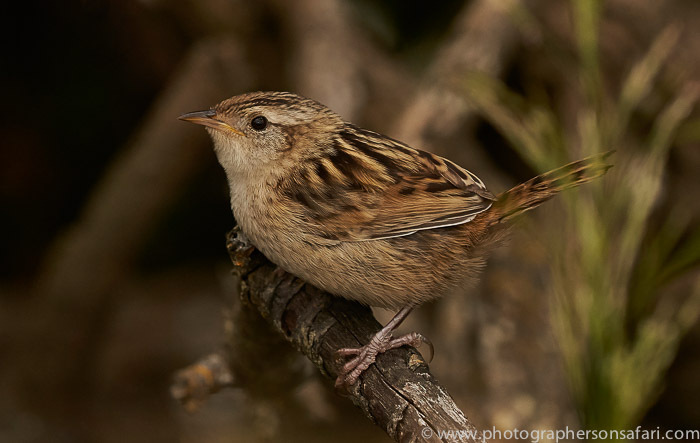 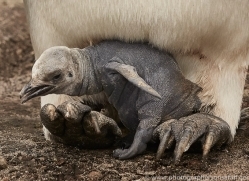 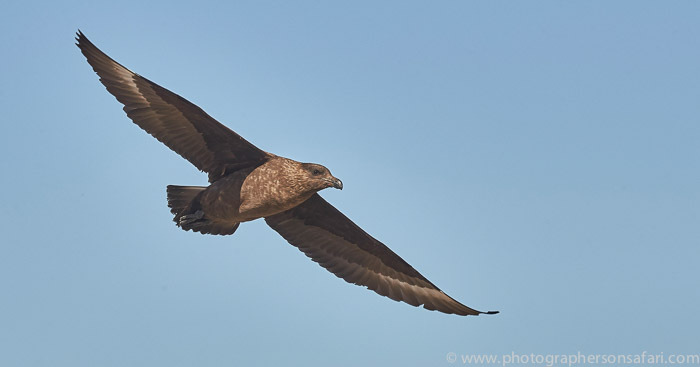 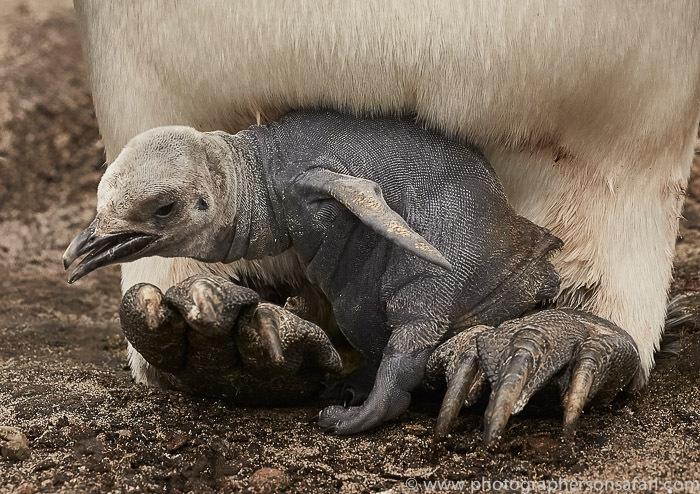 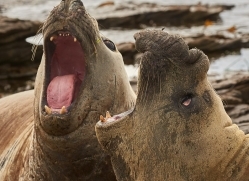 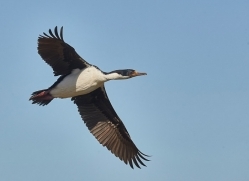 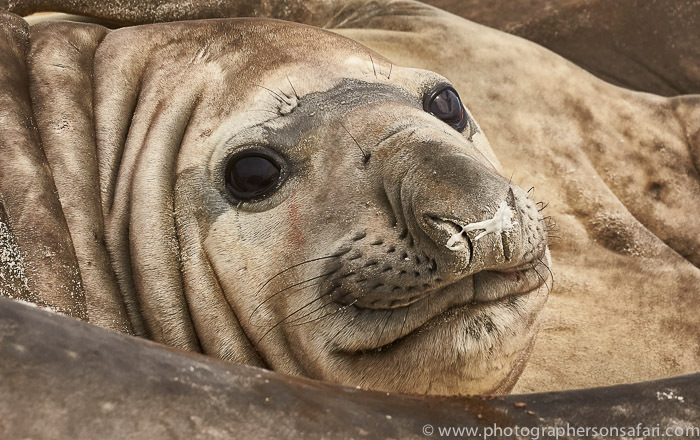 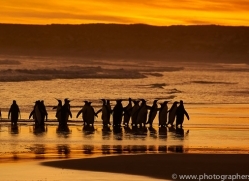 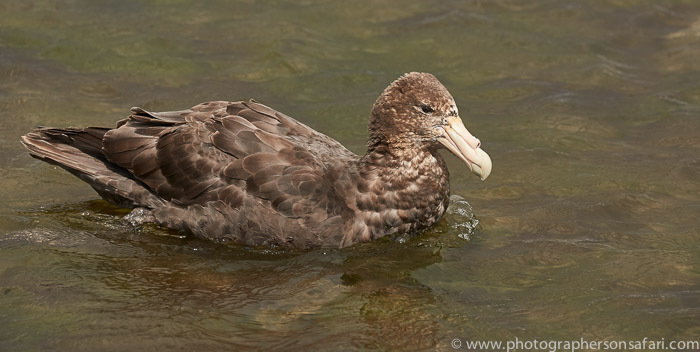 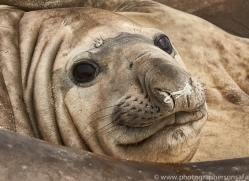 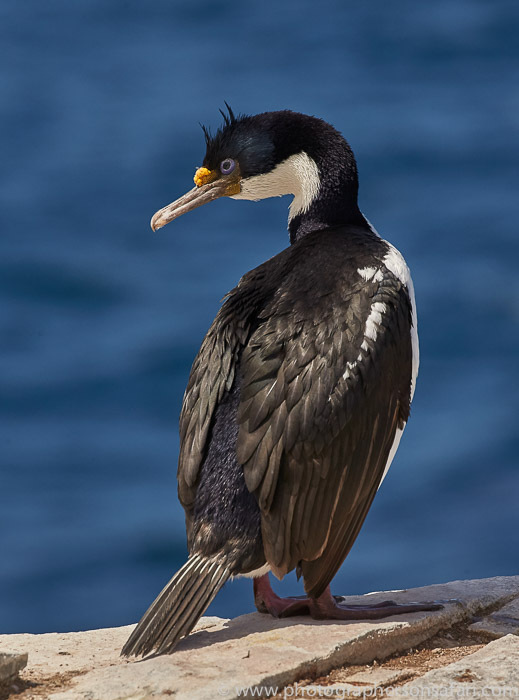 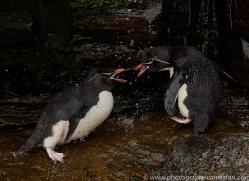 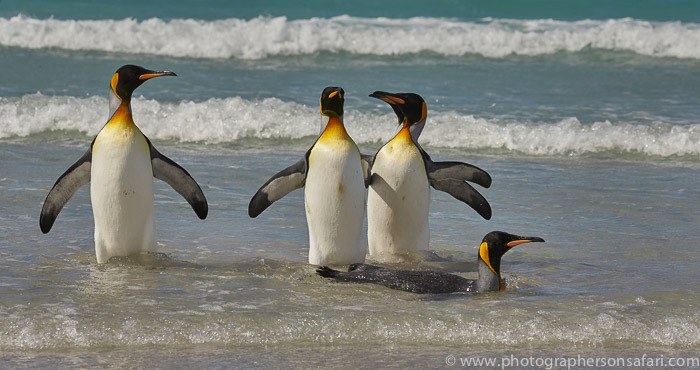 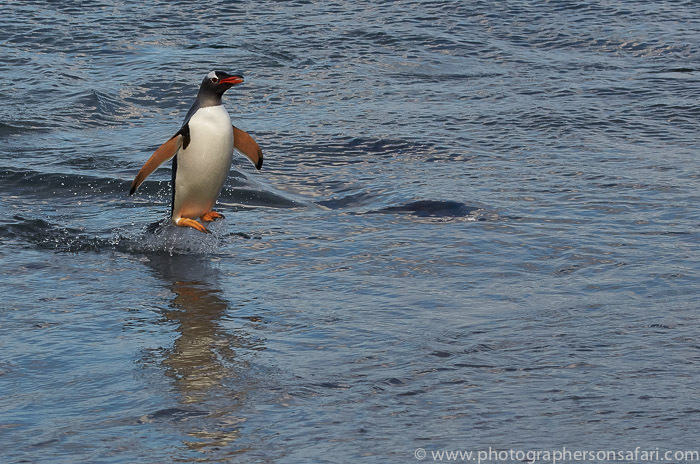 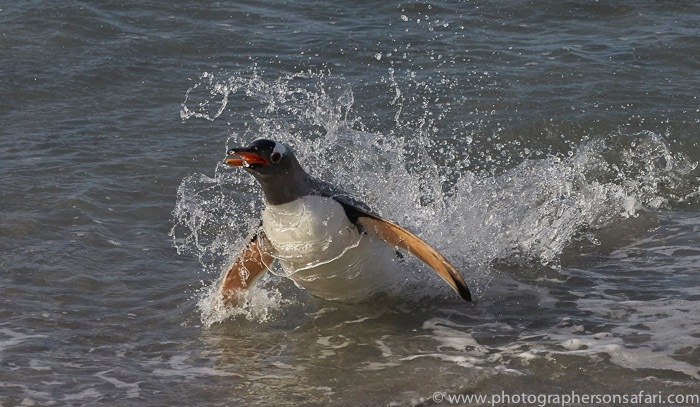 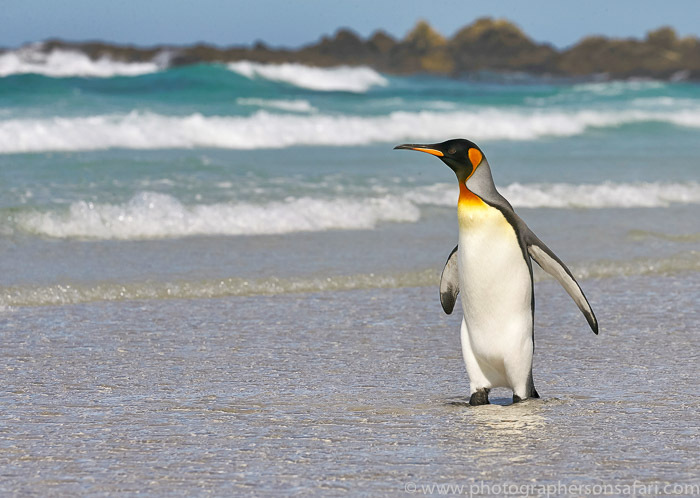 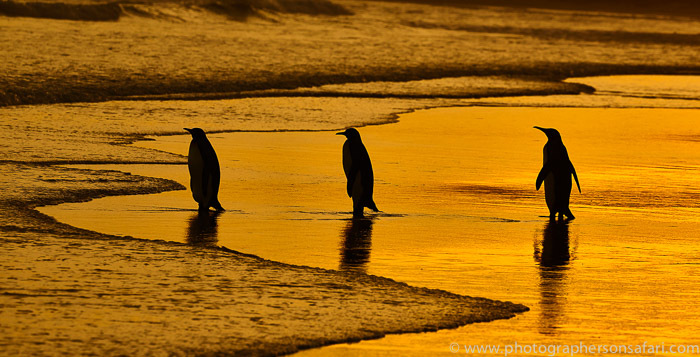 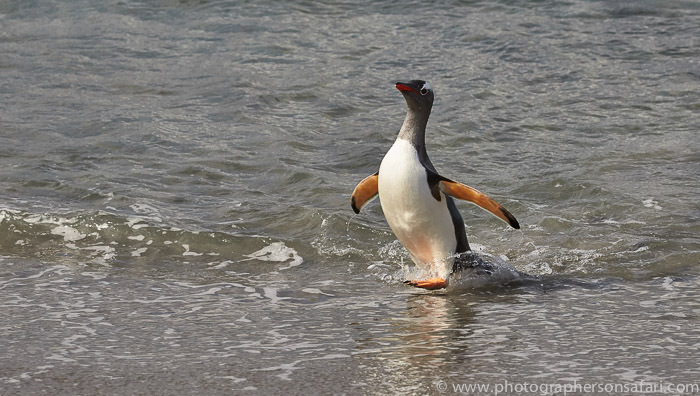 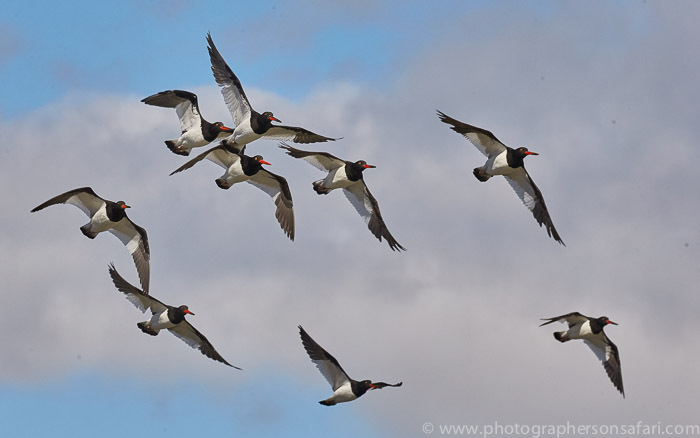 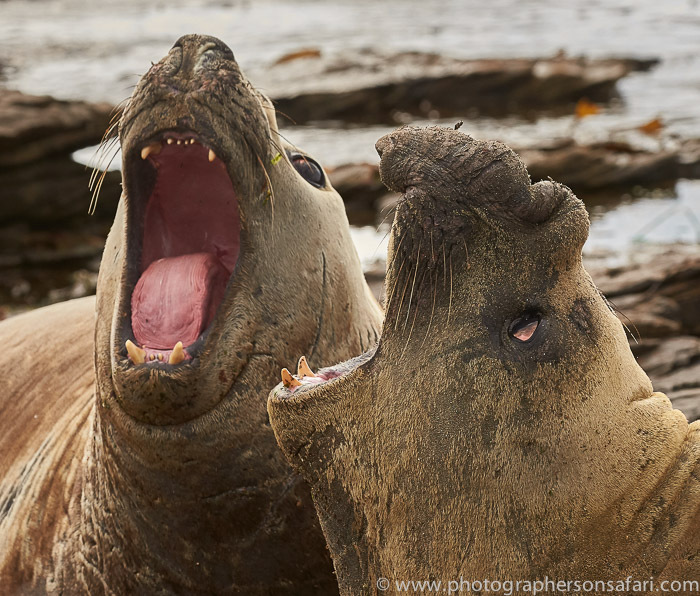 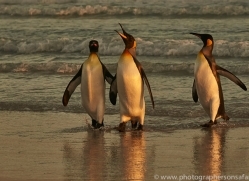 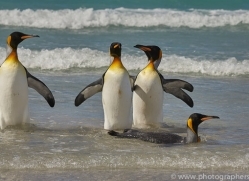 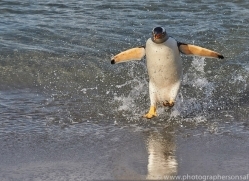 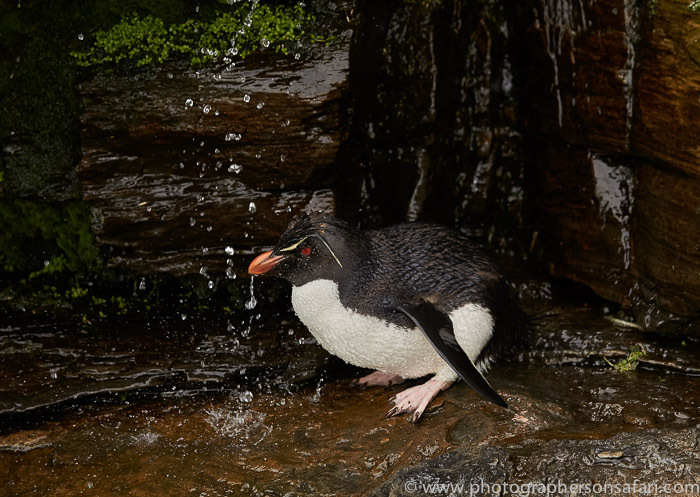 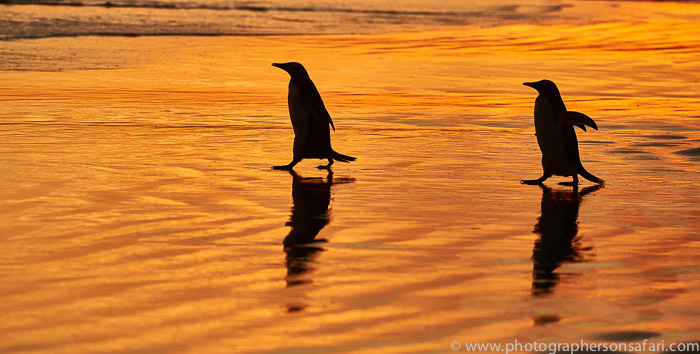 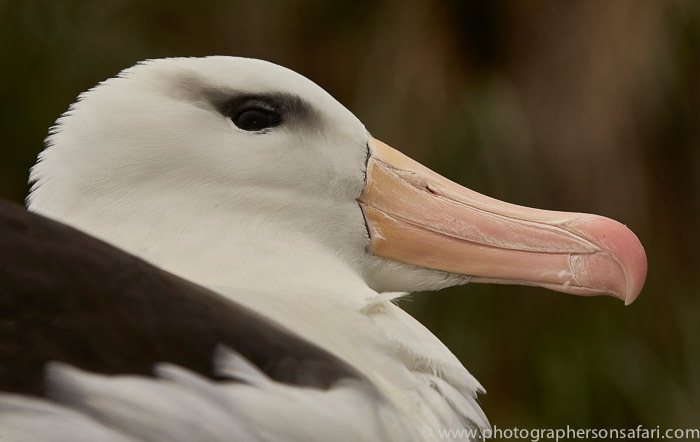 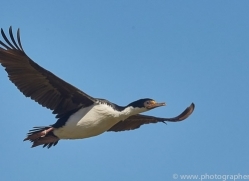 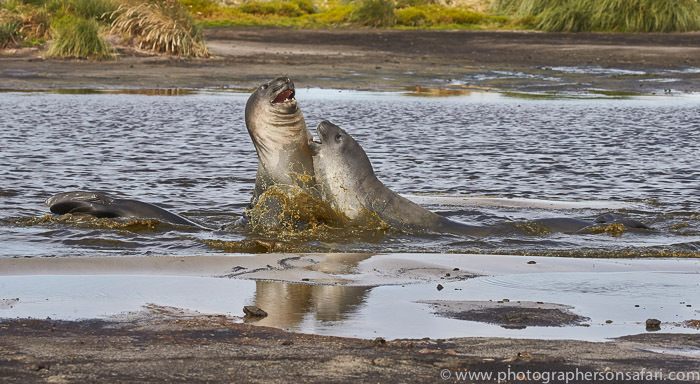 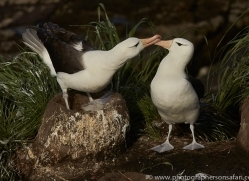 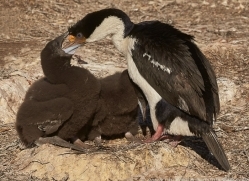 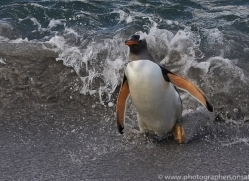 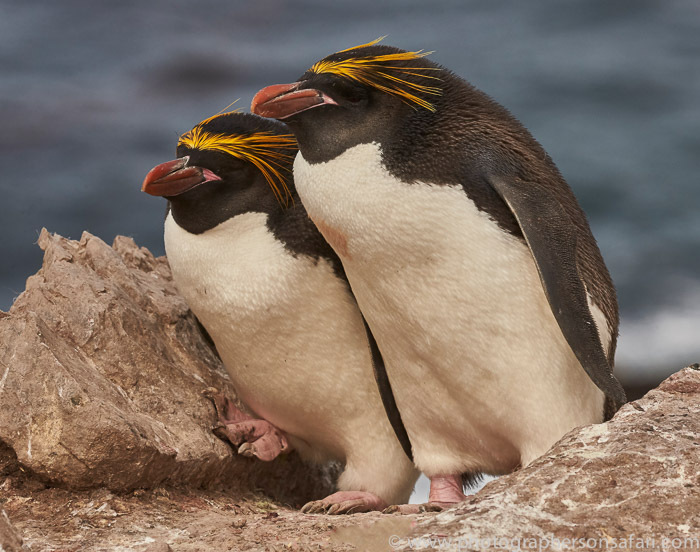 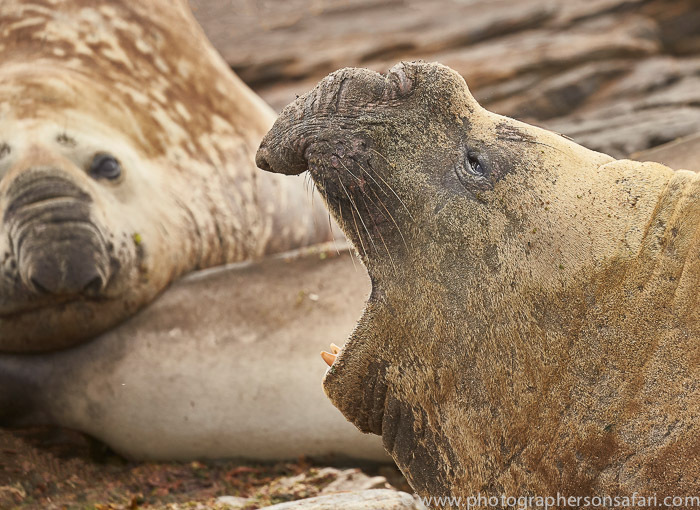 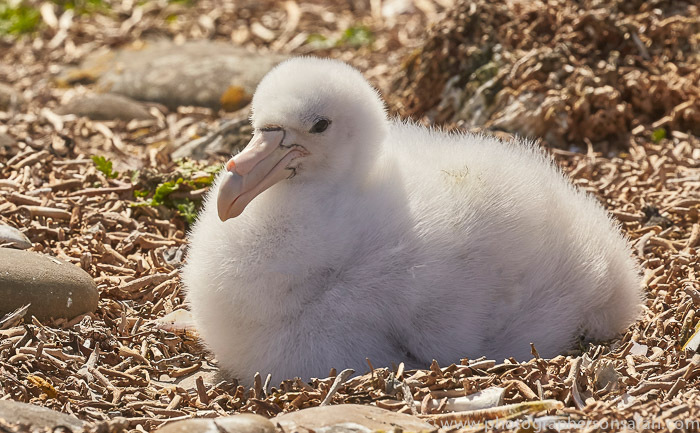 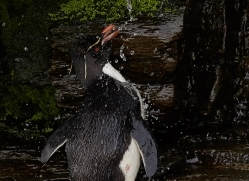 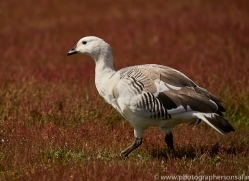 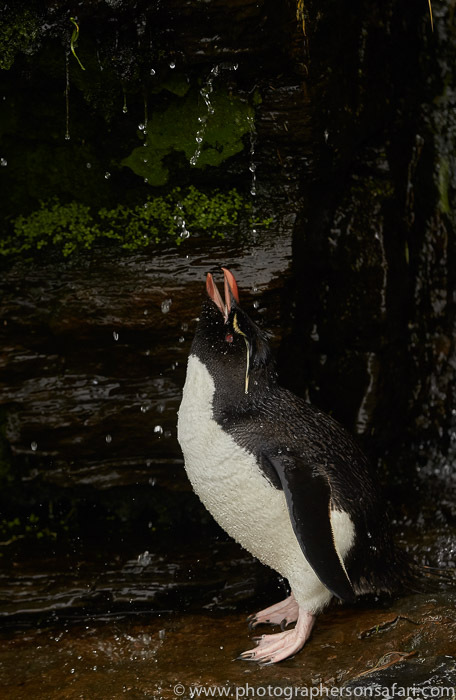 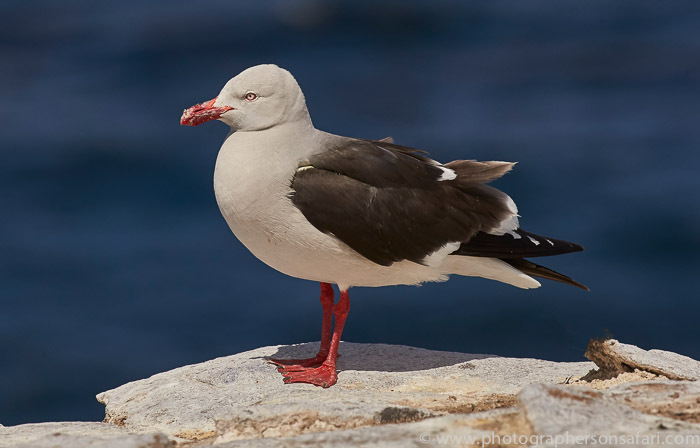 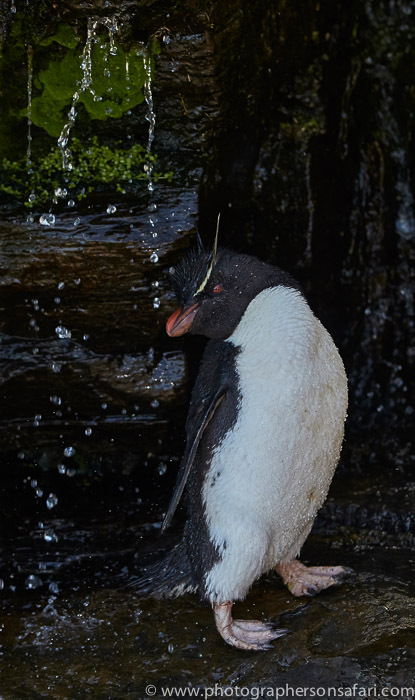 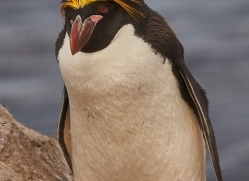 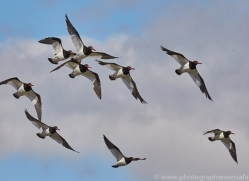 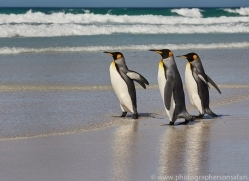 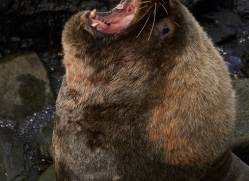 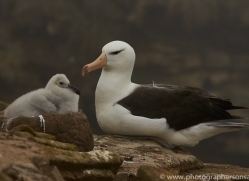 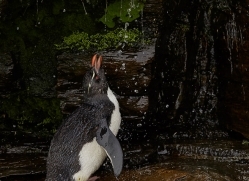 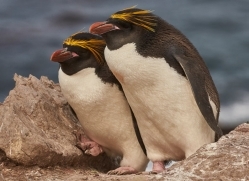 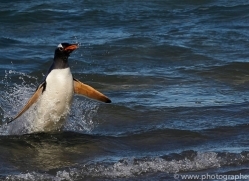 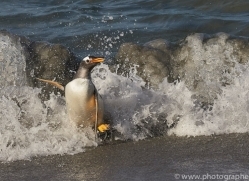 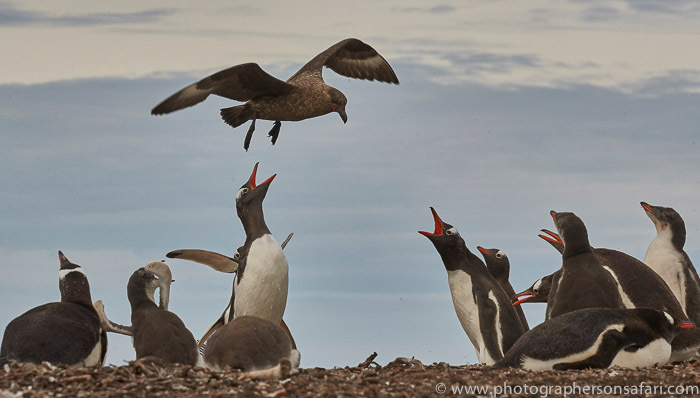 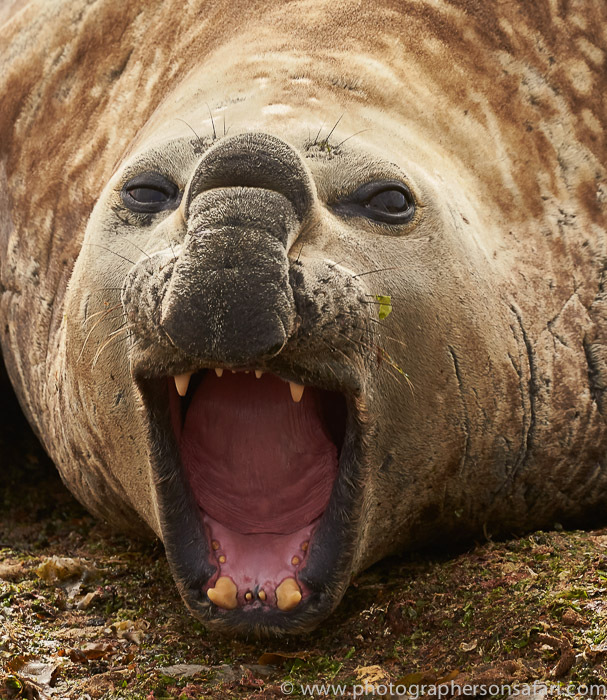 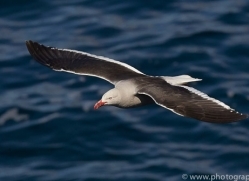 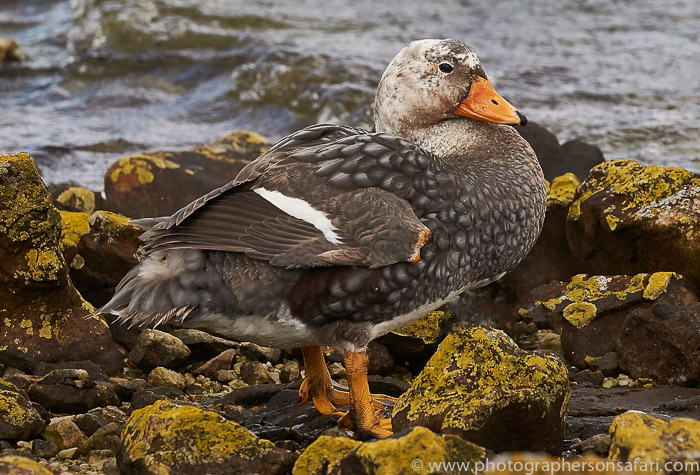 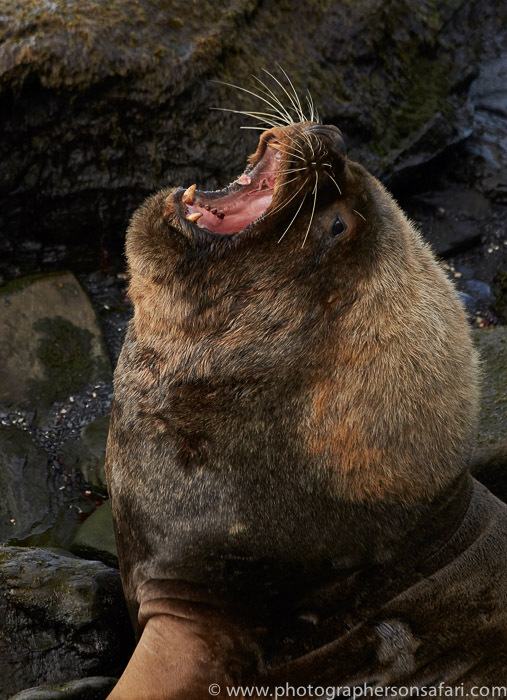 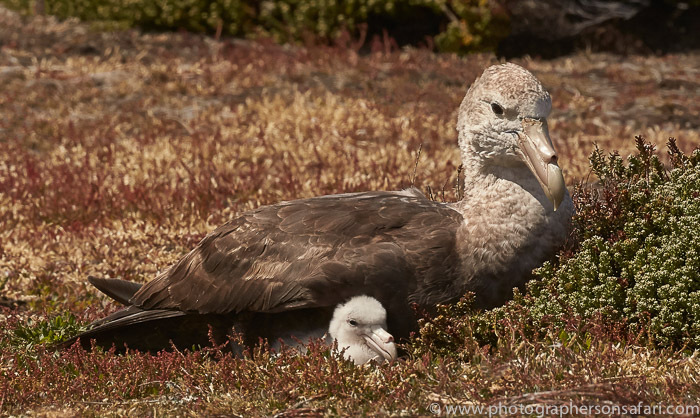 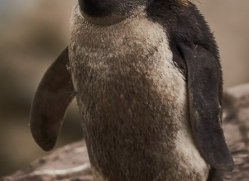 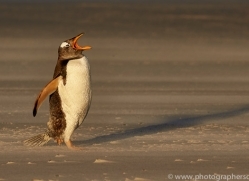 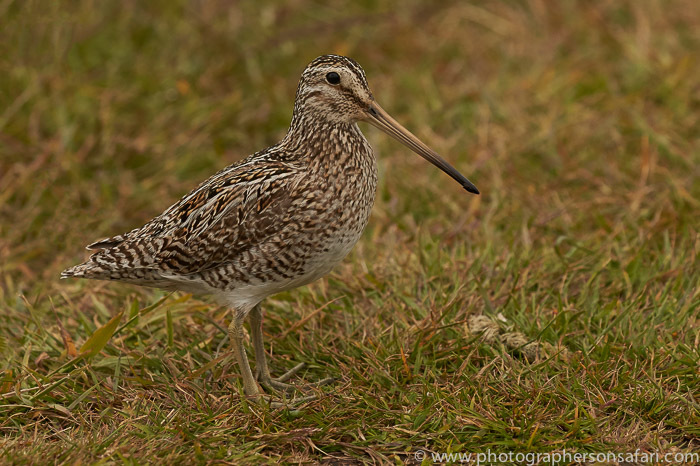 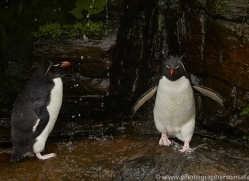 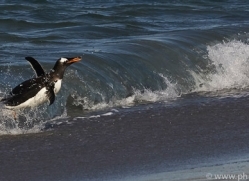 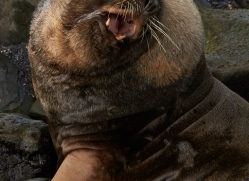 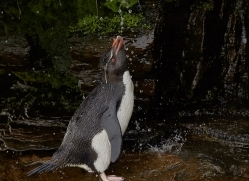 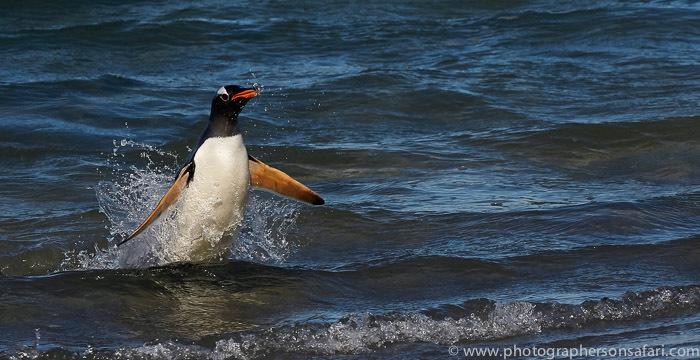 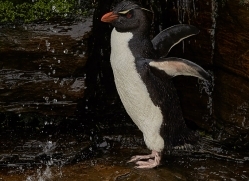 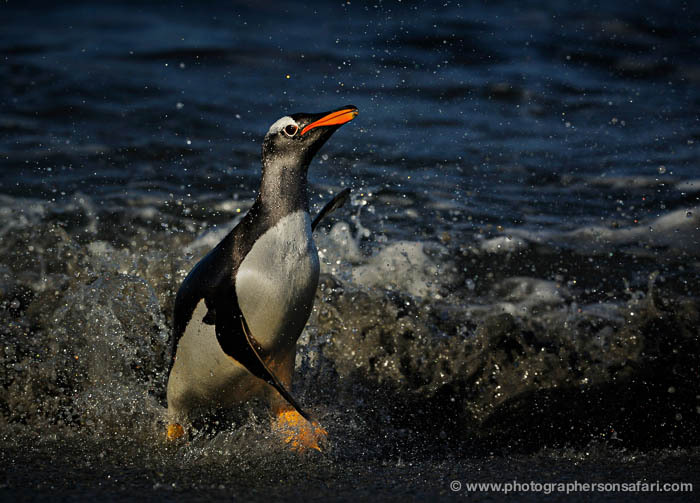 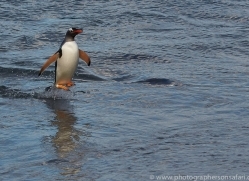 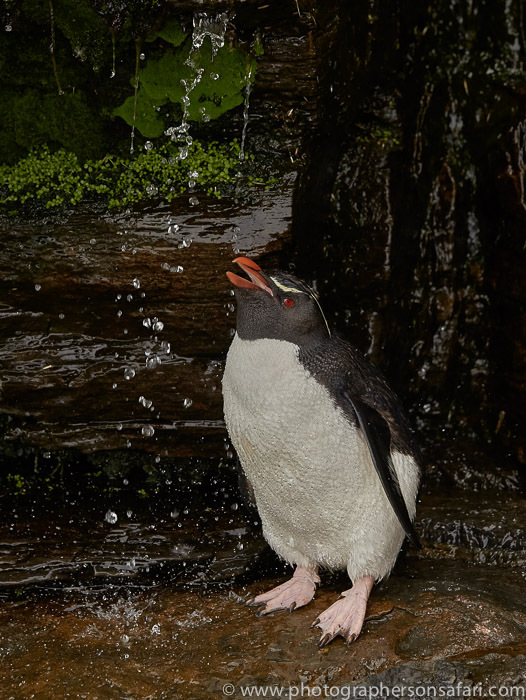 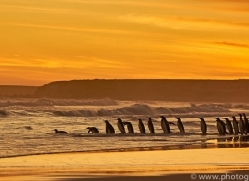 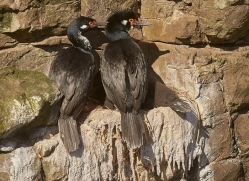 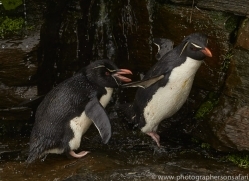 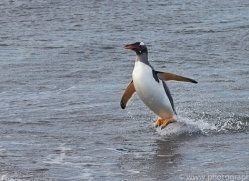 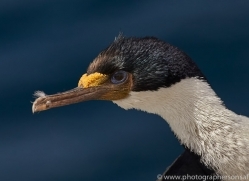 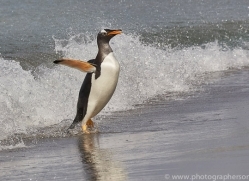 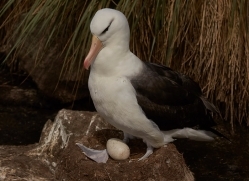 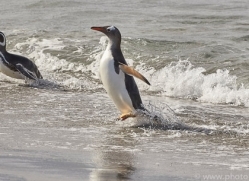 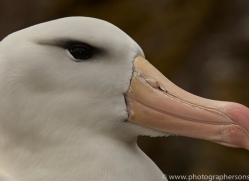 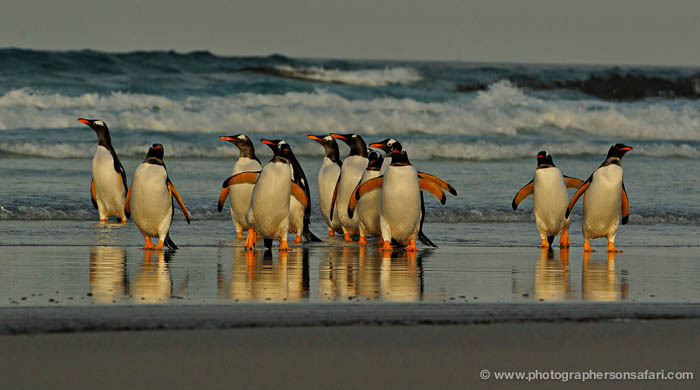 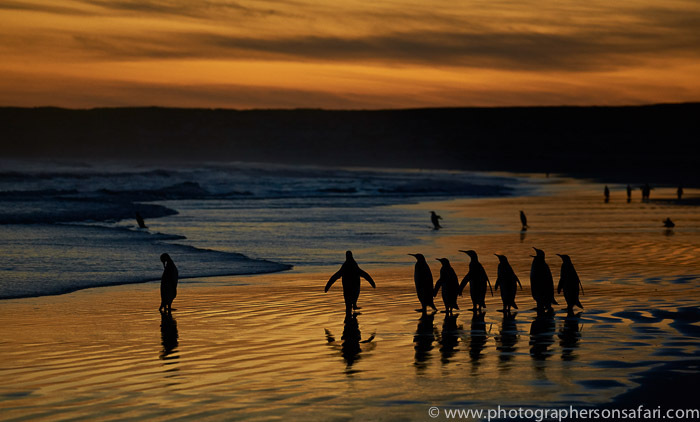 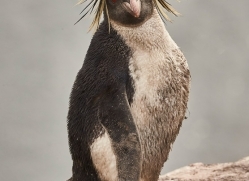 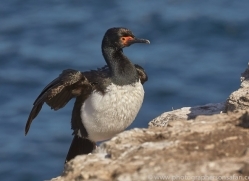 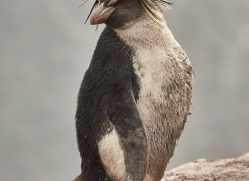 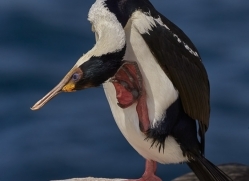 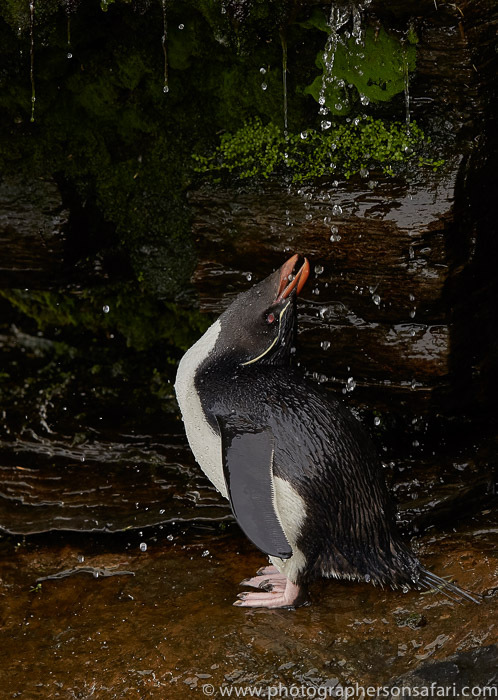 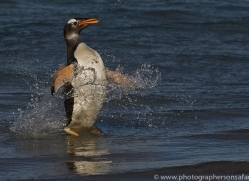 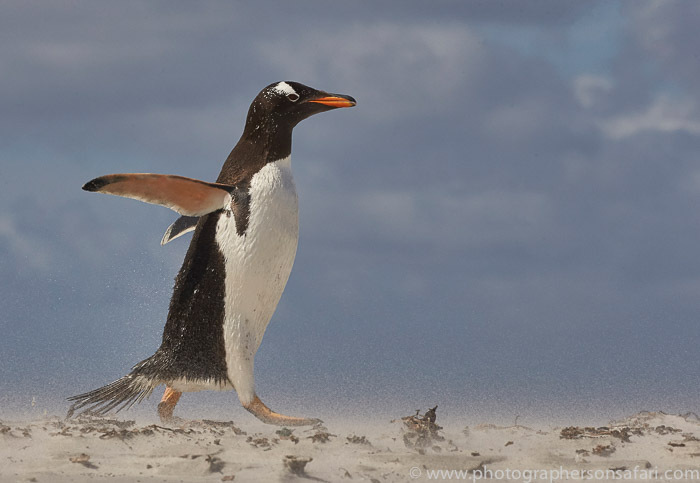 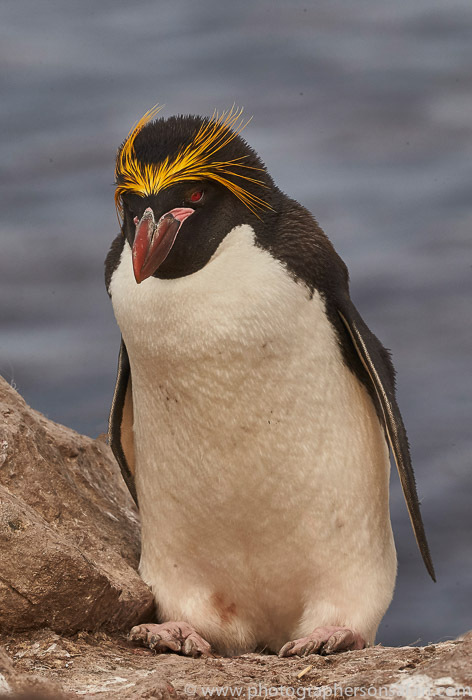 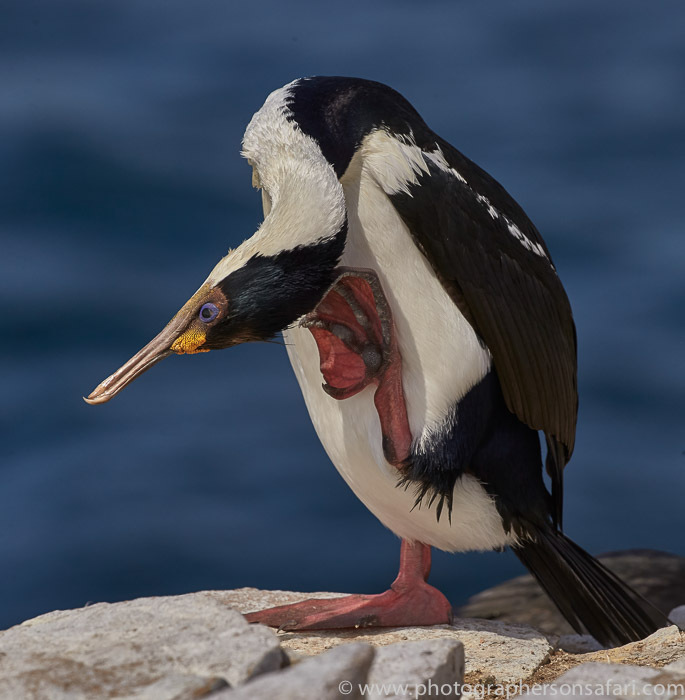 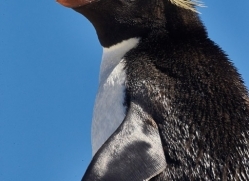 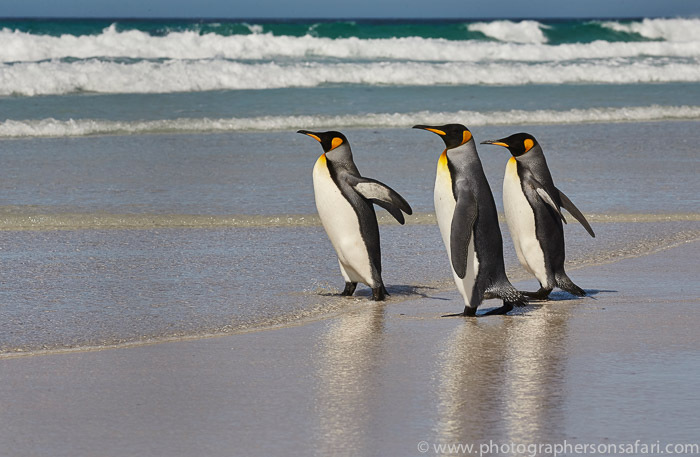 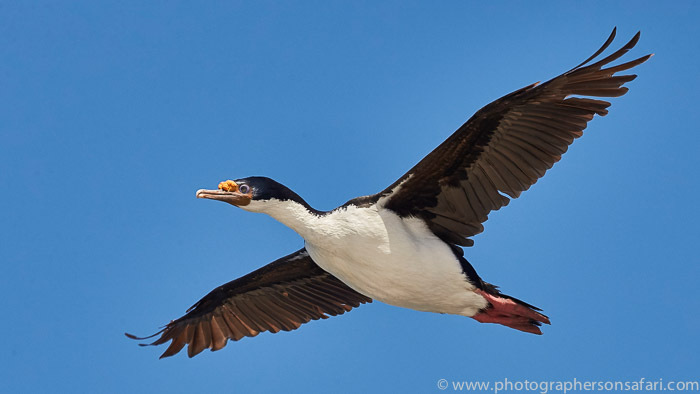 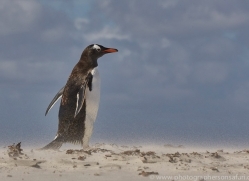 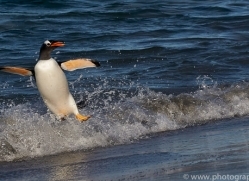 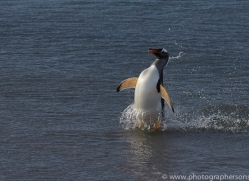 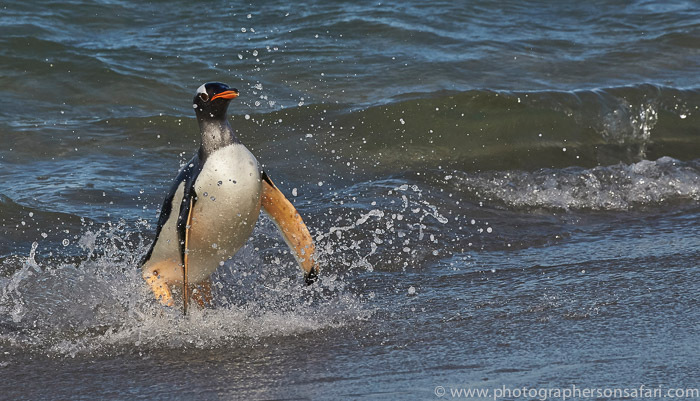 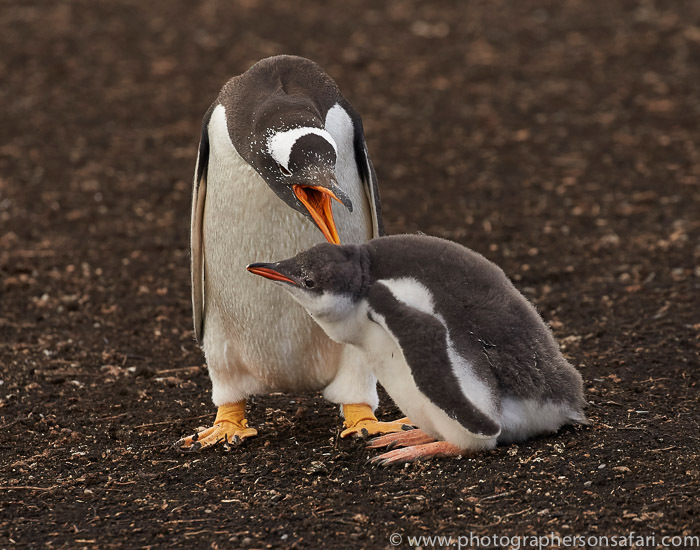 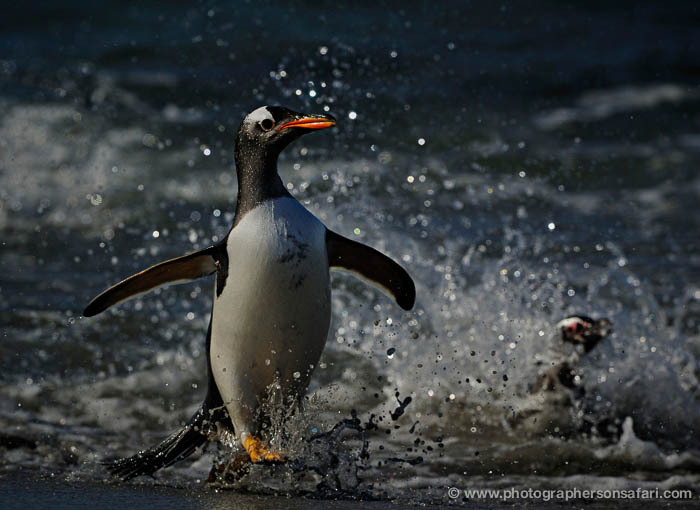 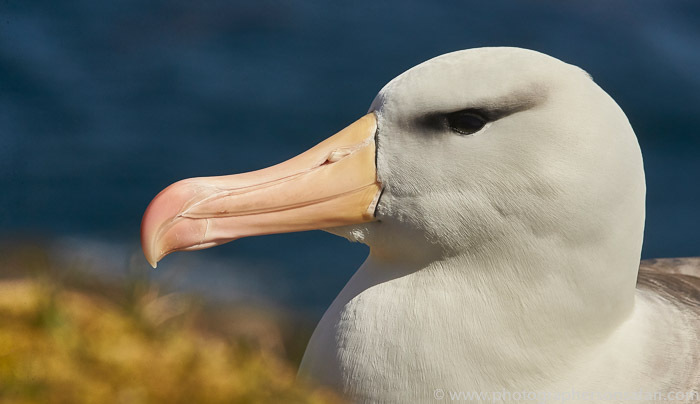 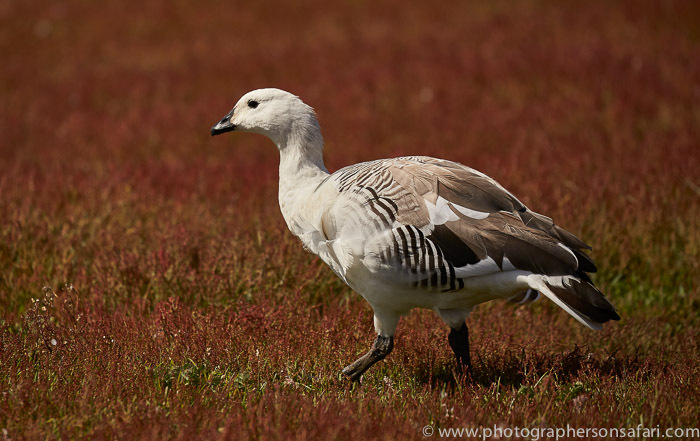 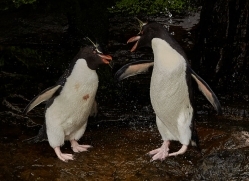 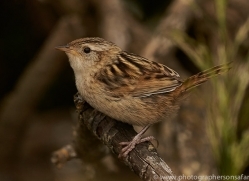 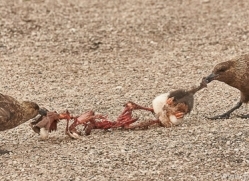 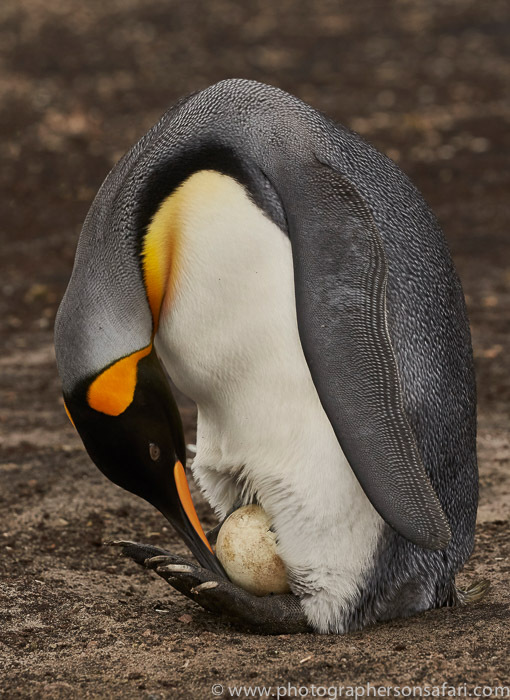 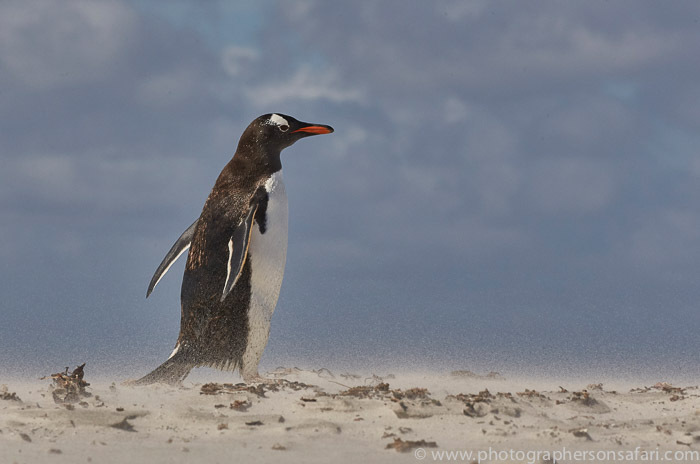 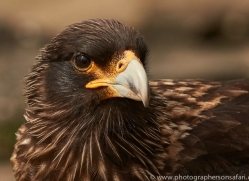 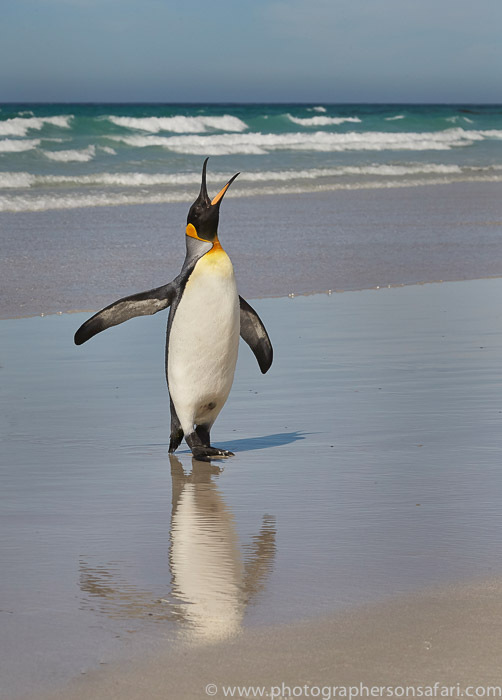 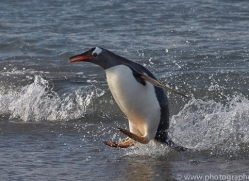 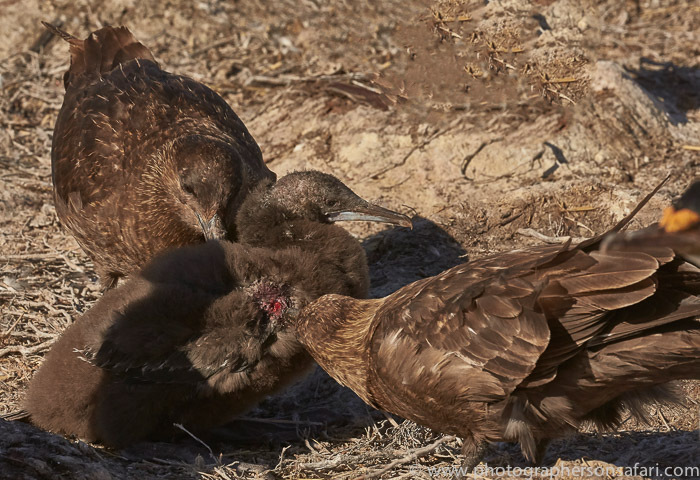 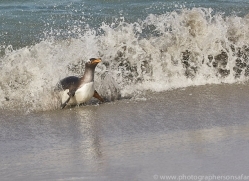 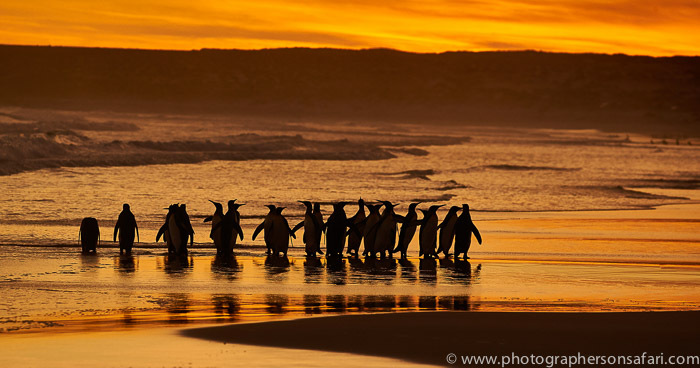 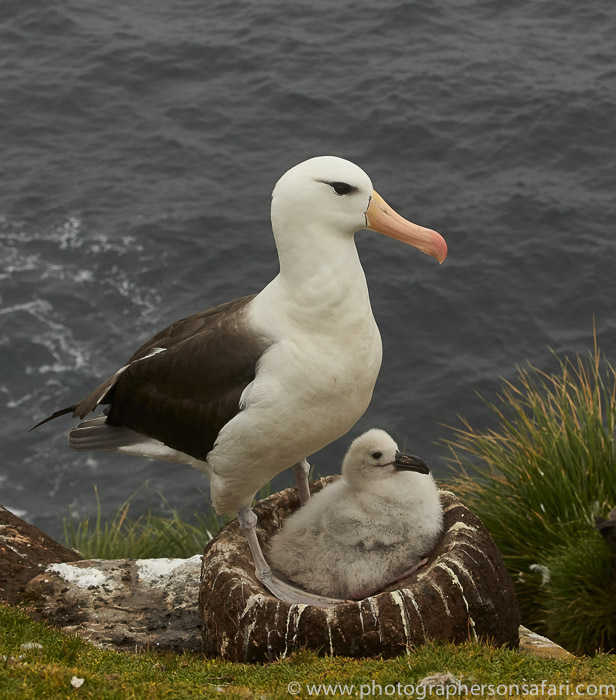 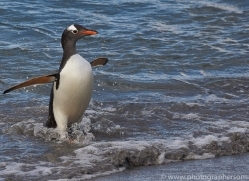 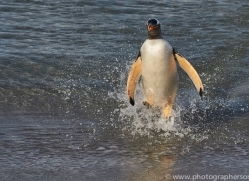 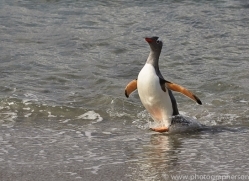 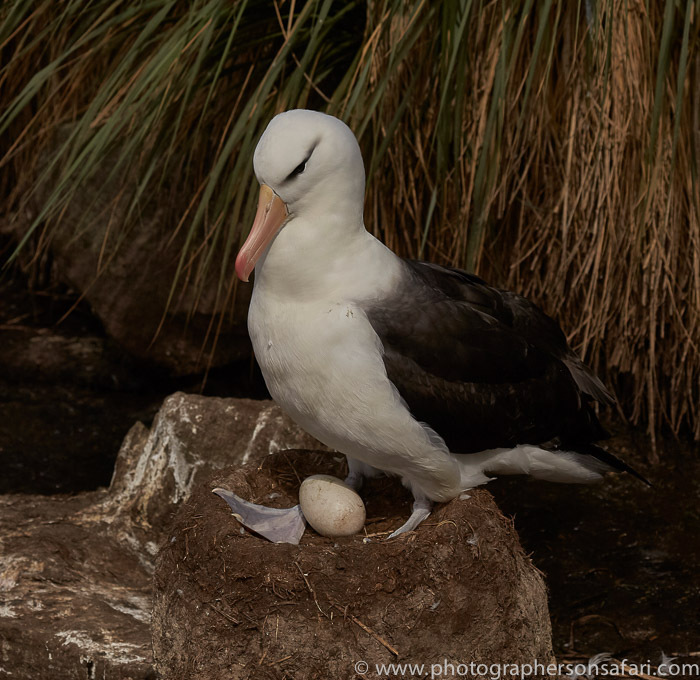 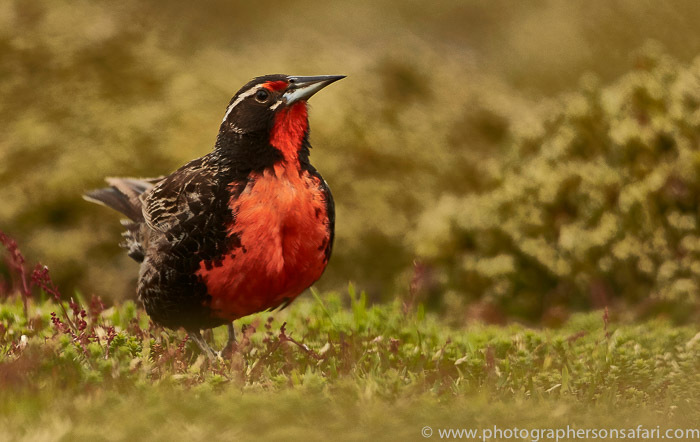 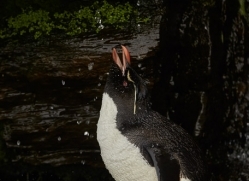 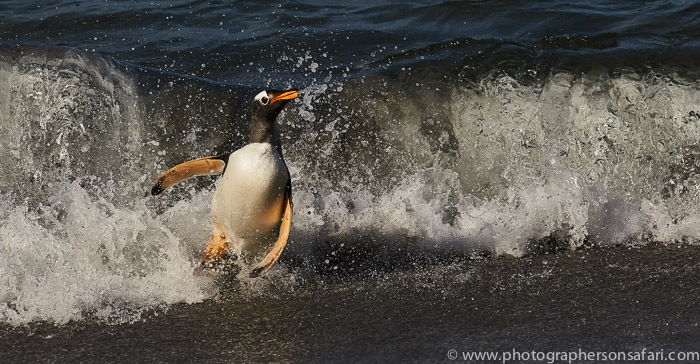 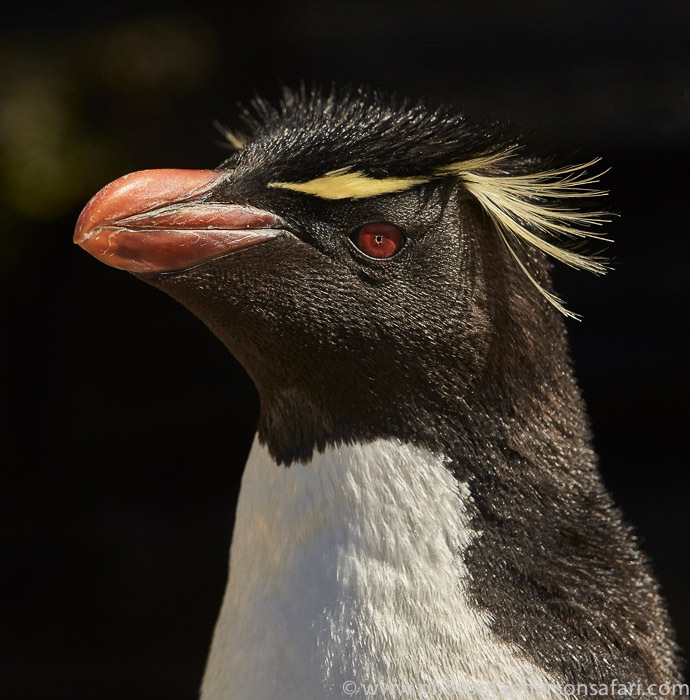 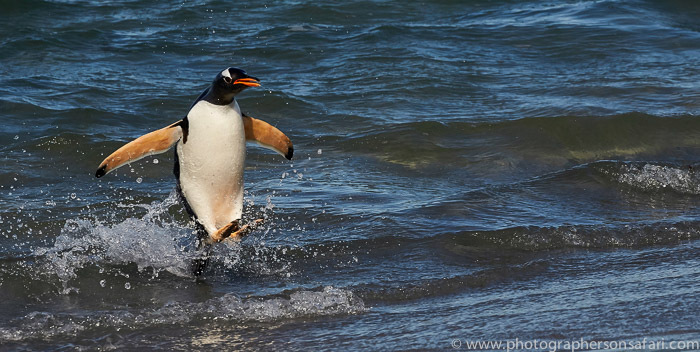 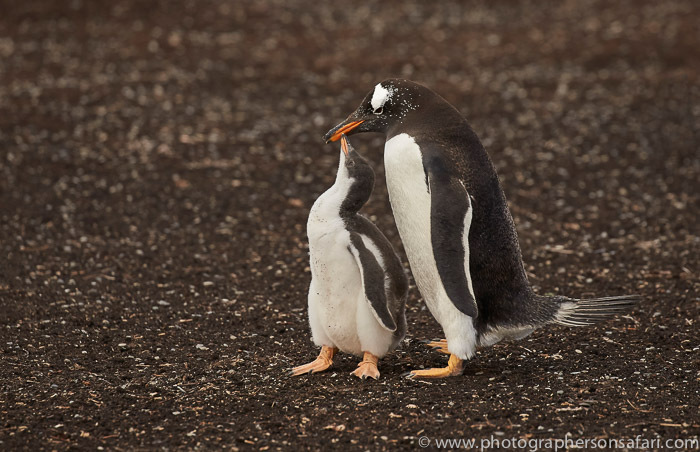 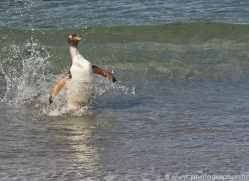 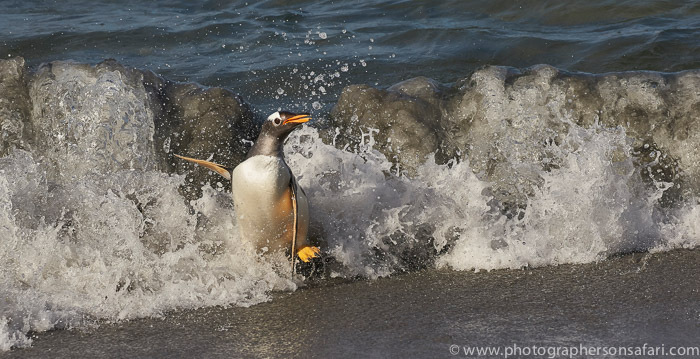 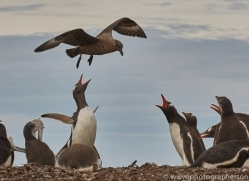 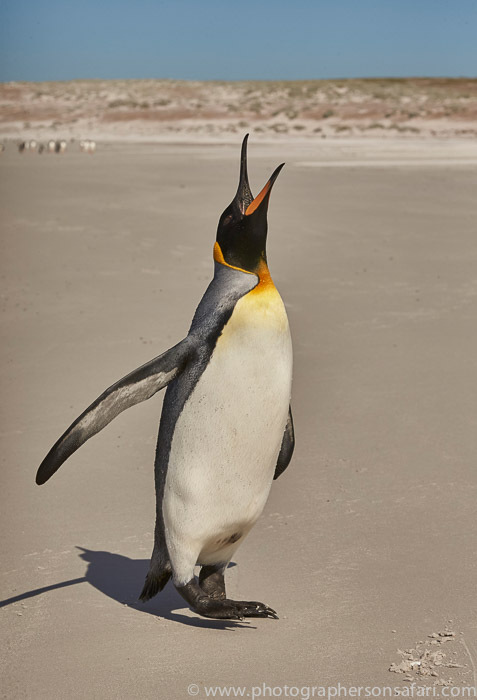 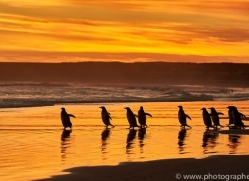 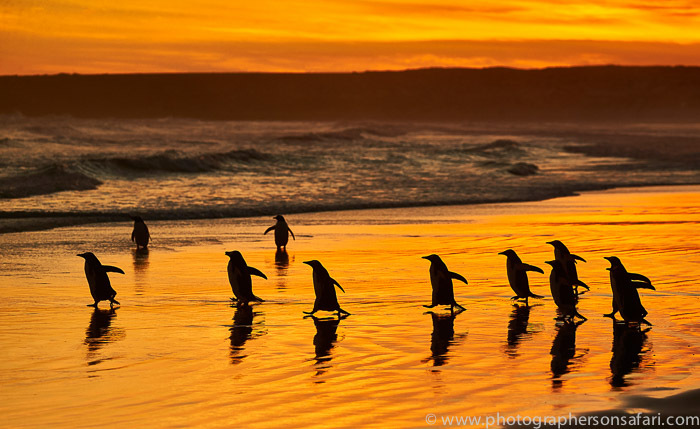 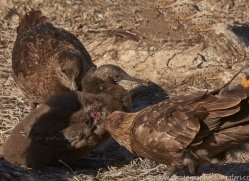 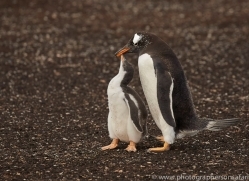 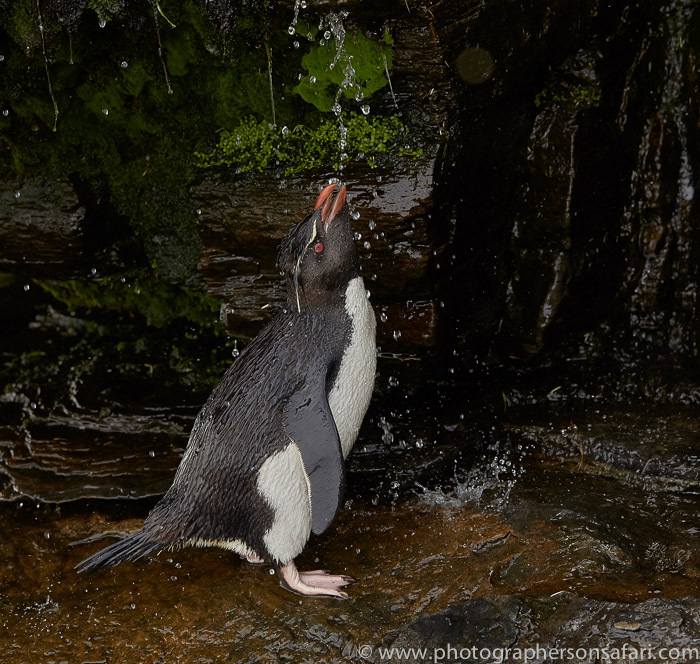 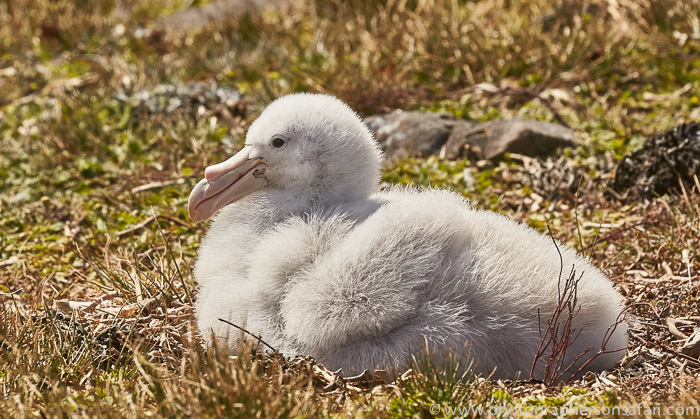 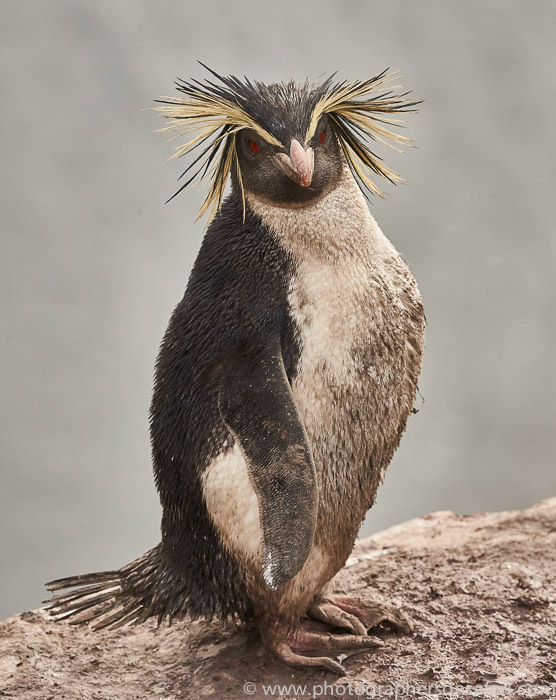 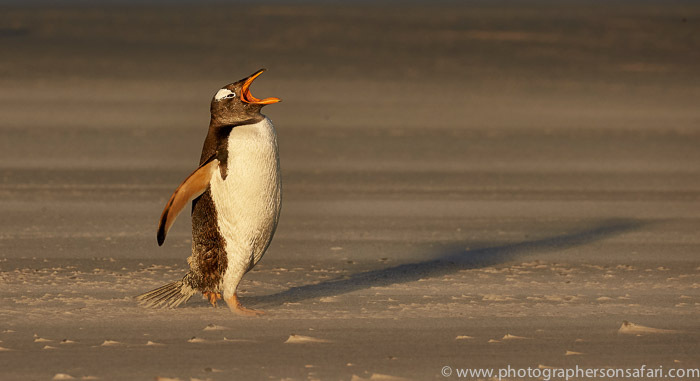 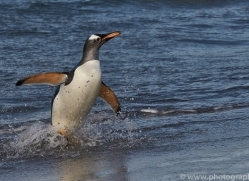 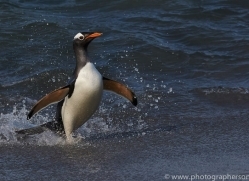 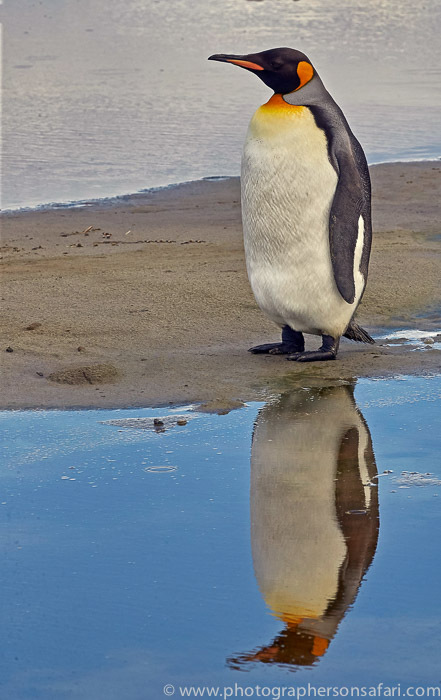 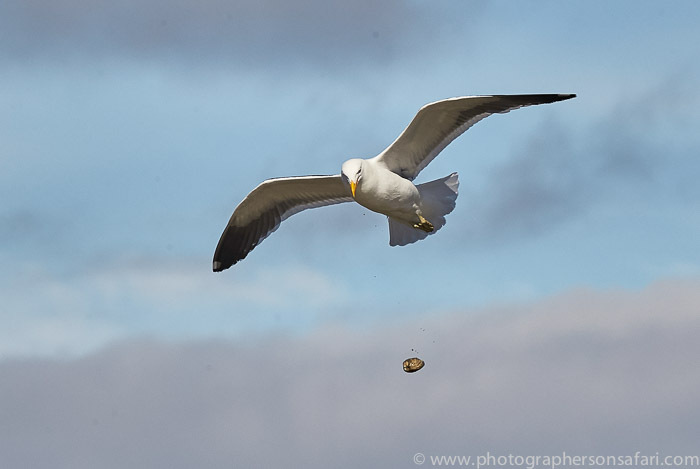 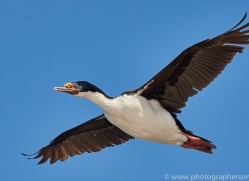 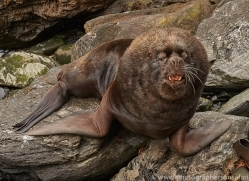 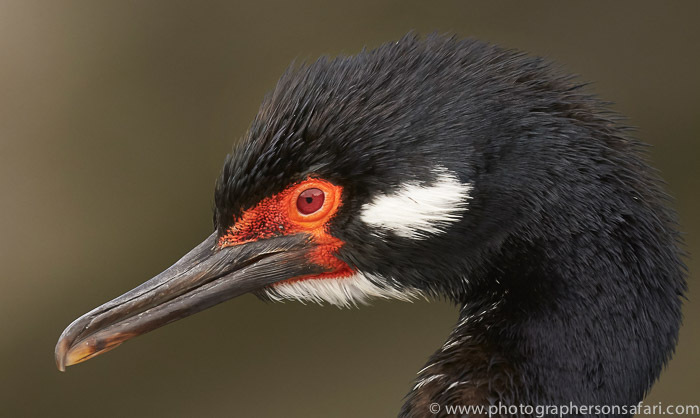 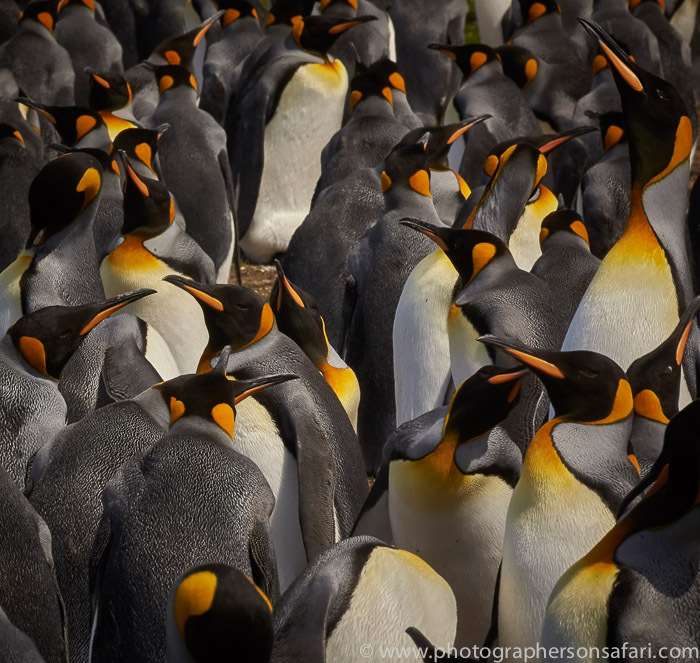 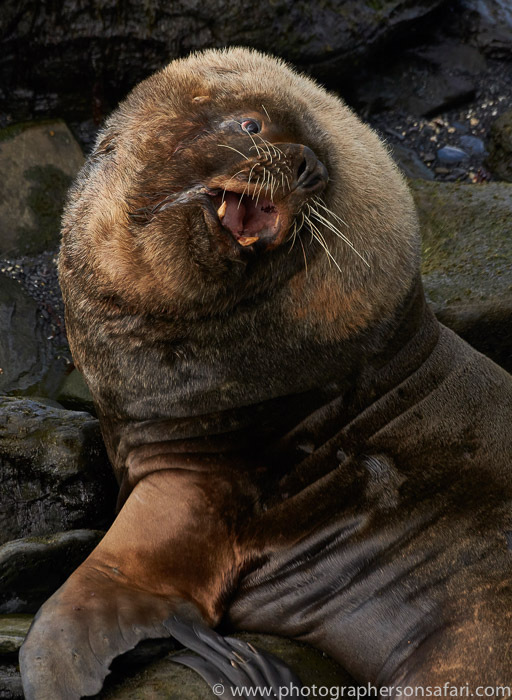 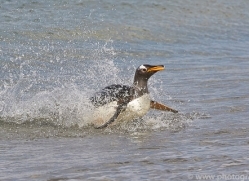 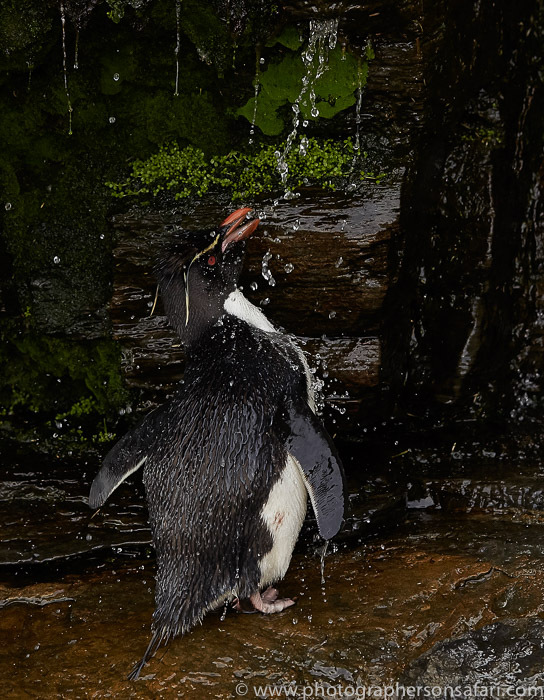 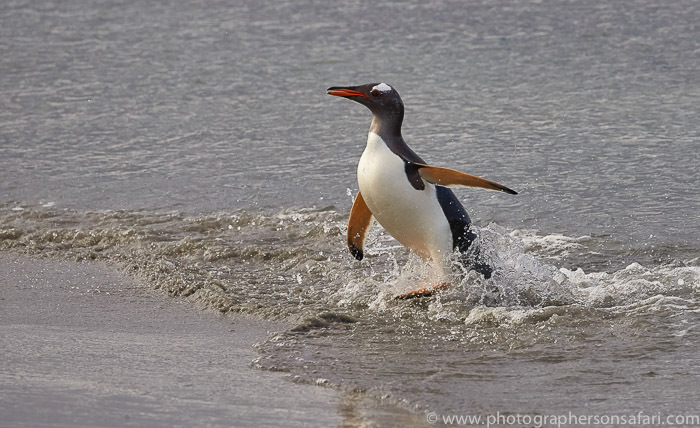 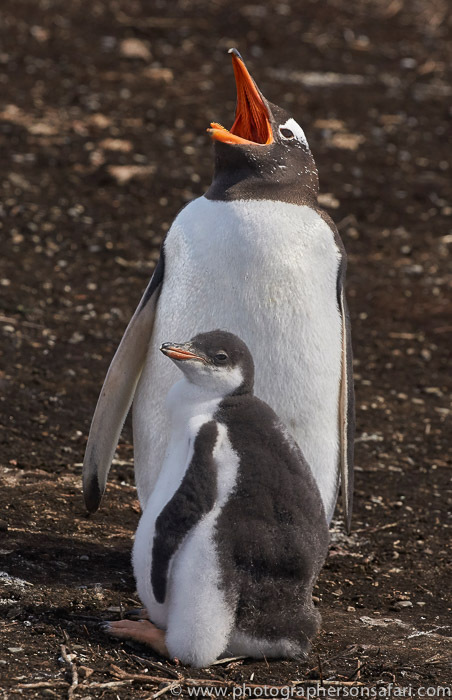 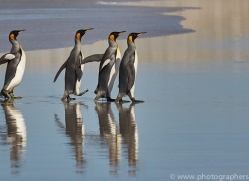 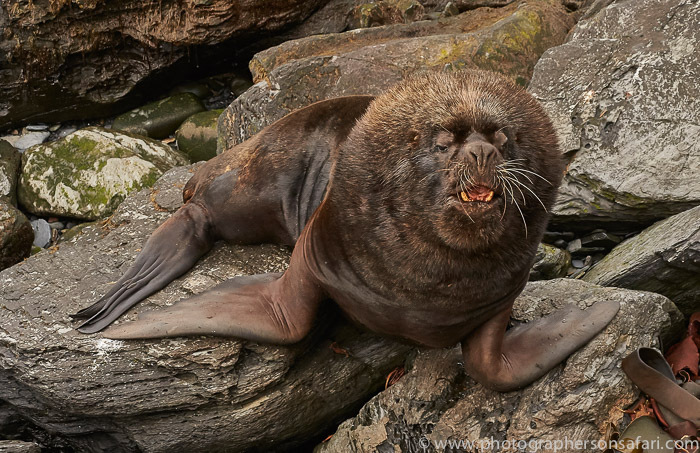 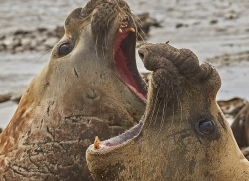 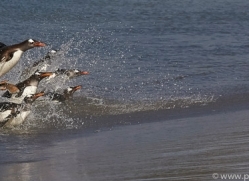 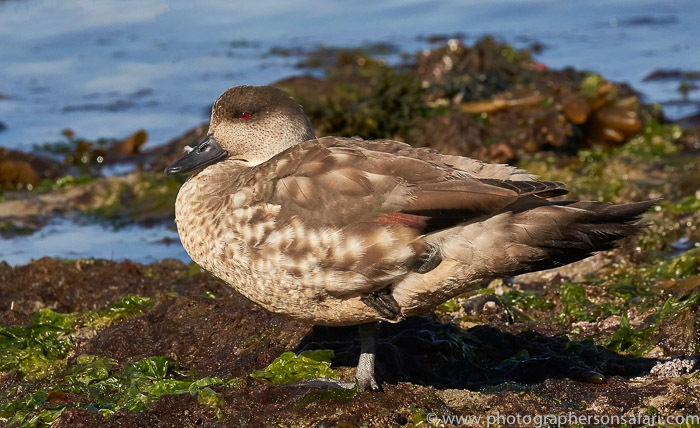 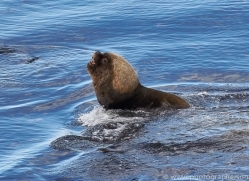 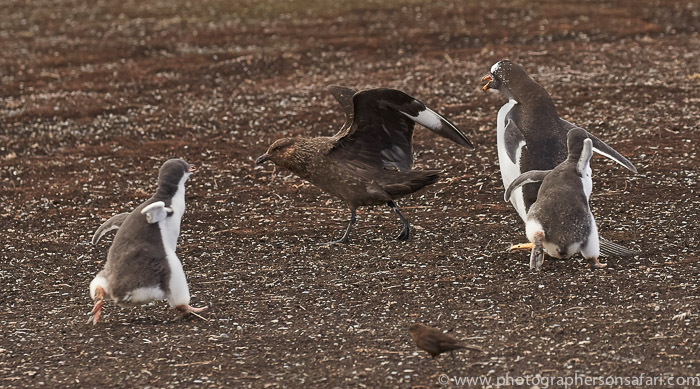 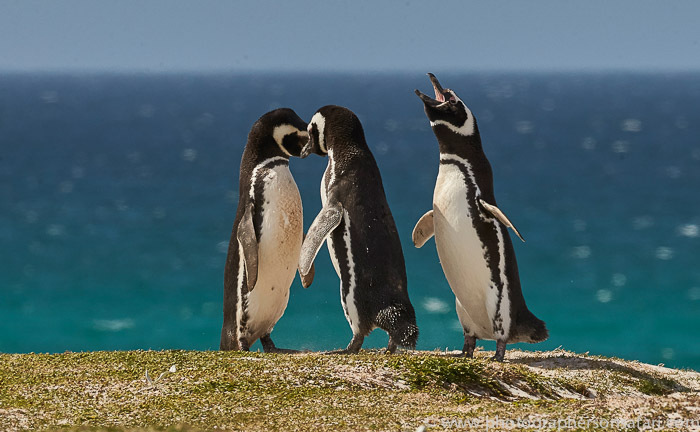 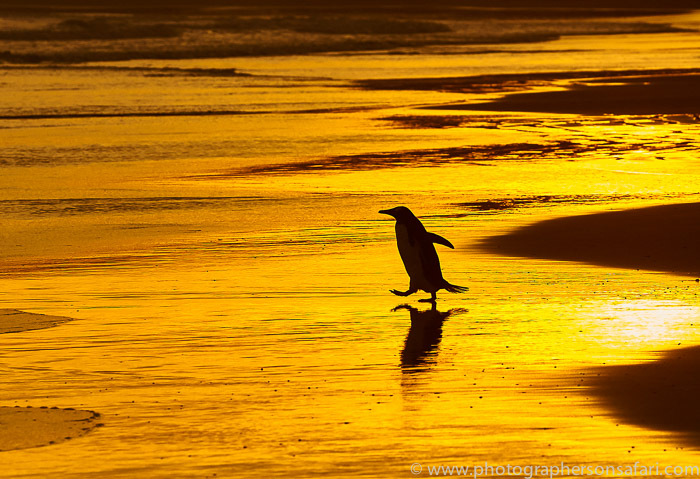 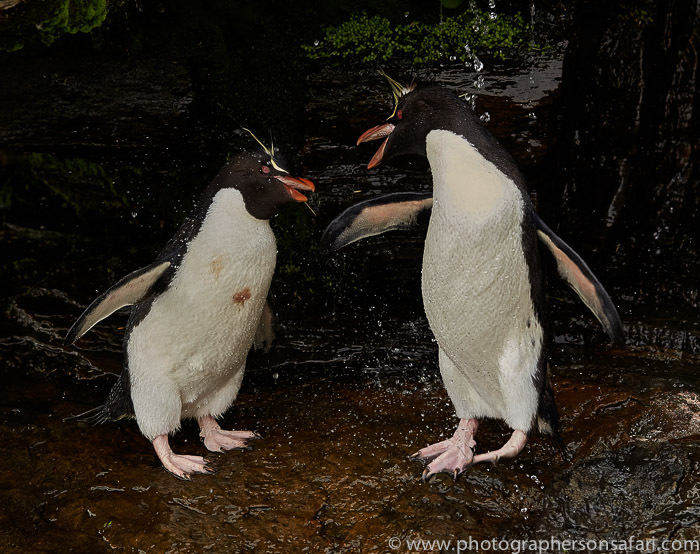 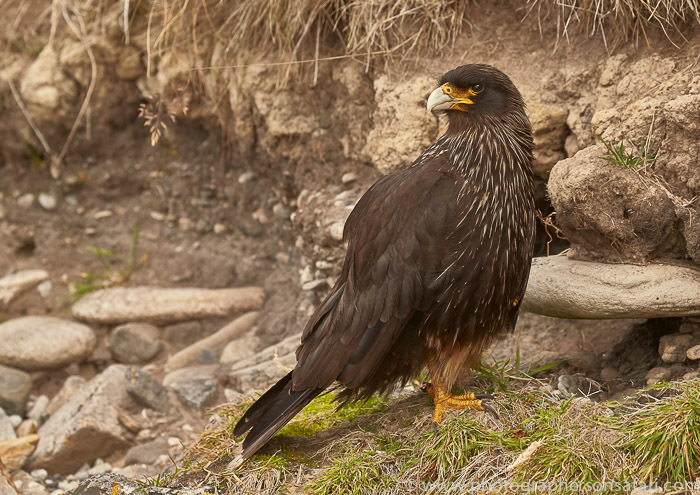 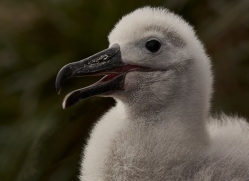 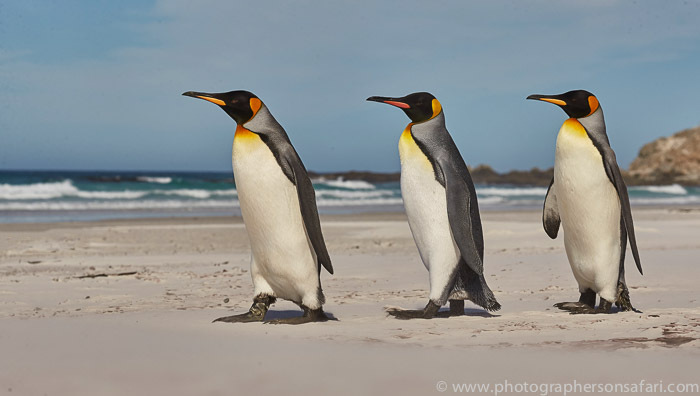 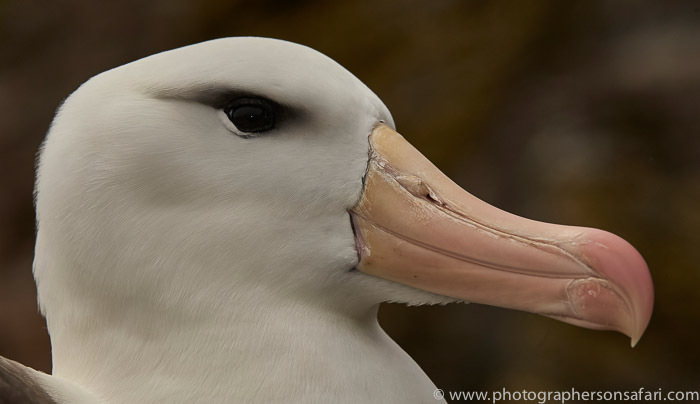 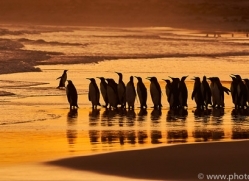 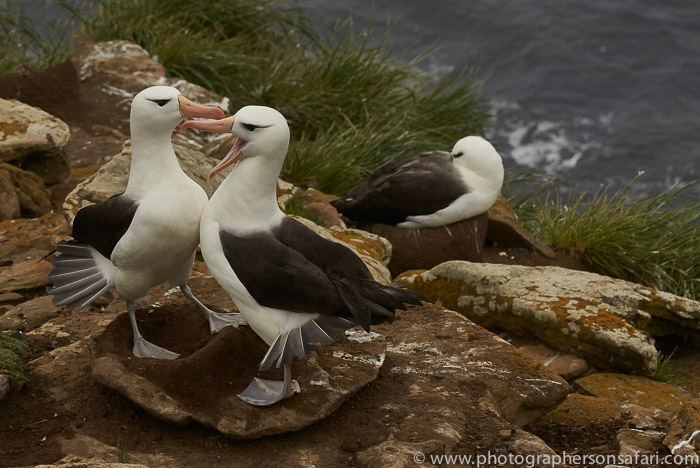 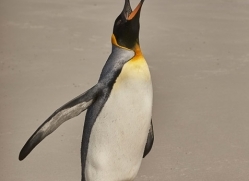 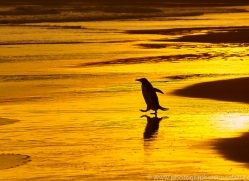 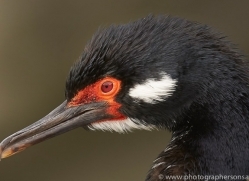 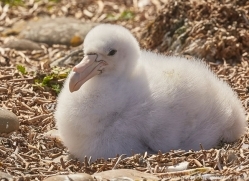 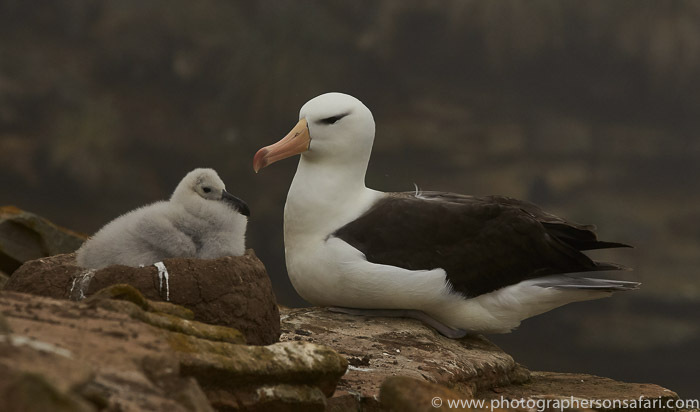 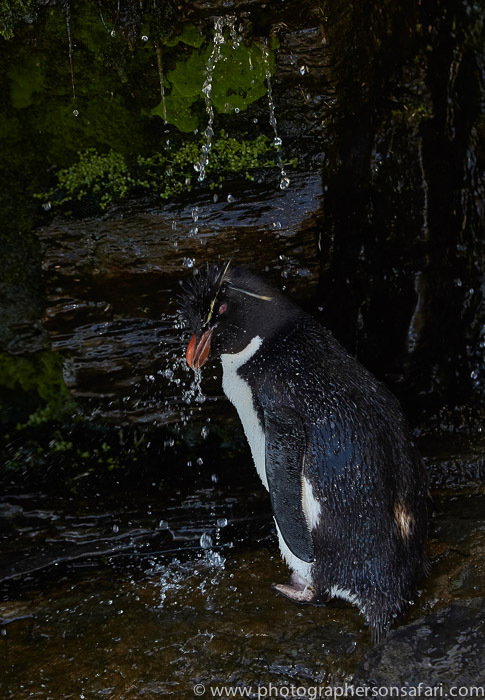 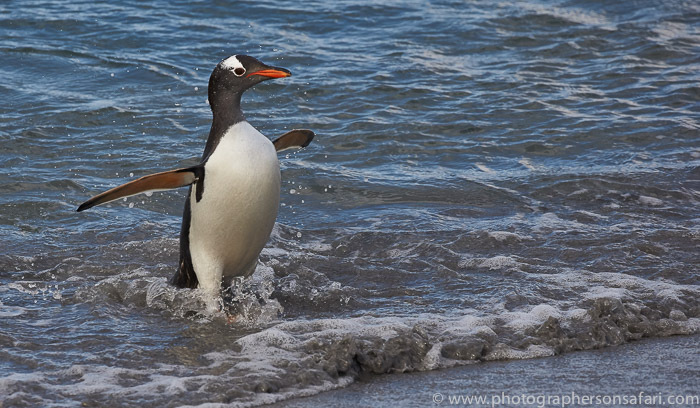 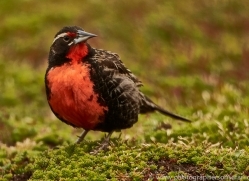 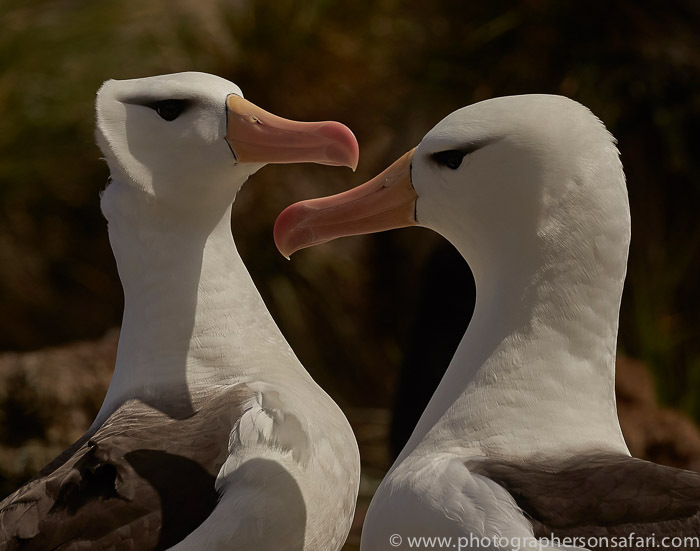 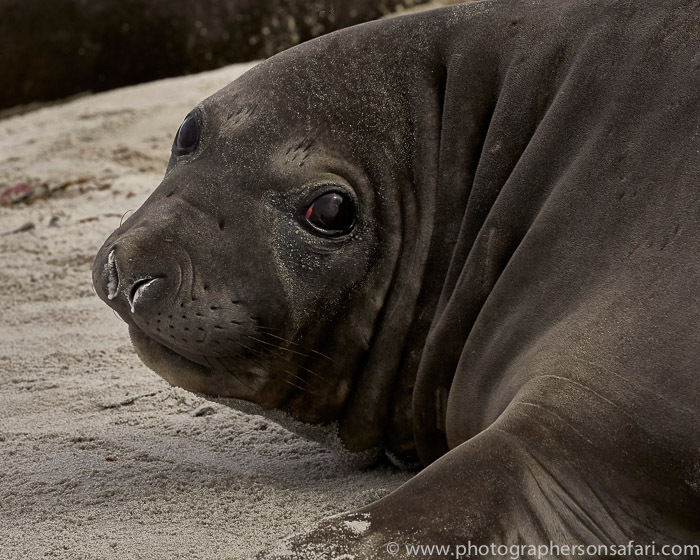 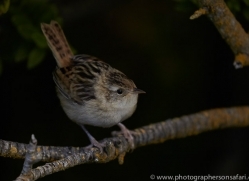 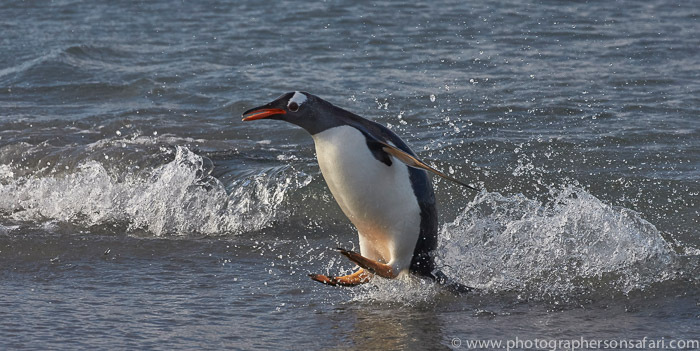 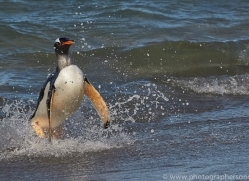 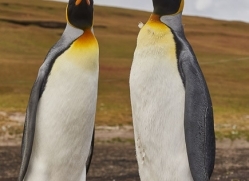 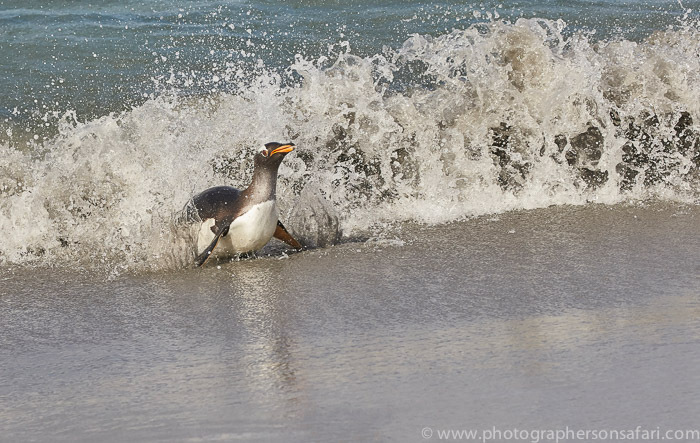 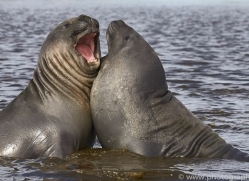 The Falkland Islands are “a wildlife photographer’s dream come true”. 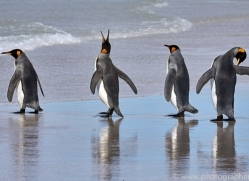 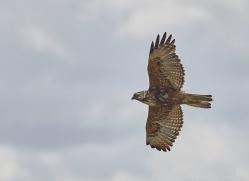 If you wish to join me on this ”recce”, I will accompany you throughout this trip. 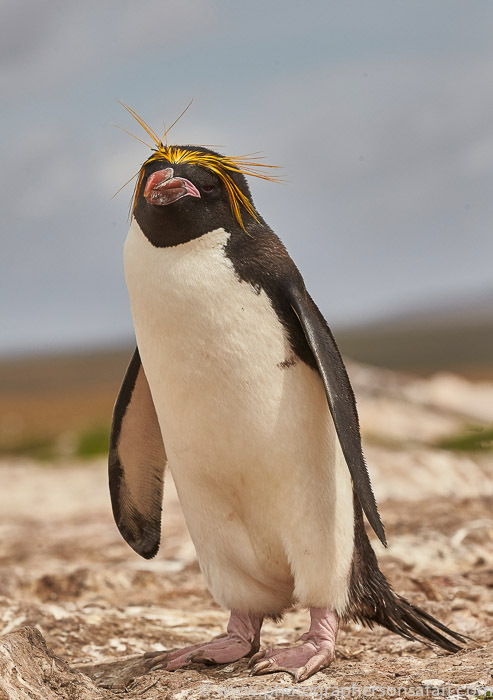 This will be my first visit to the Falkland Islands and, as is my normal way of designing a new trip, I will spend 3 weeks at the location, the best of which will be condensed down to 2 weeks for future trips. 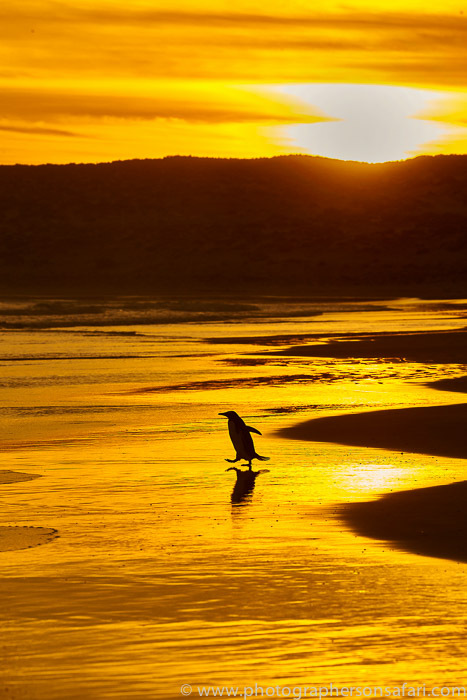 More time will be spent at each location so that all the best time to be at the best spots can be learned from experience. 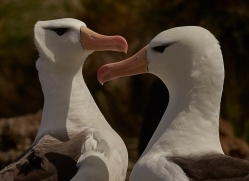 I will get a solid briefing from the owner of each island, so I will not be working blind. 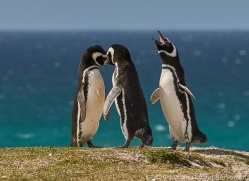 If you compare the cost of these 3 weeks with many other trips you will see that you are almost getting one week free of charge. 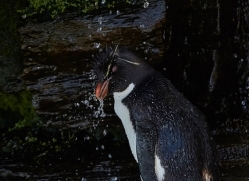 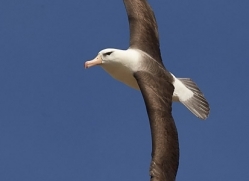 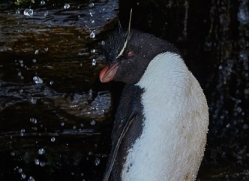 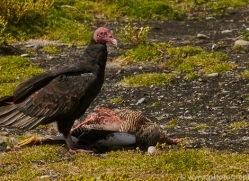 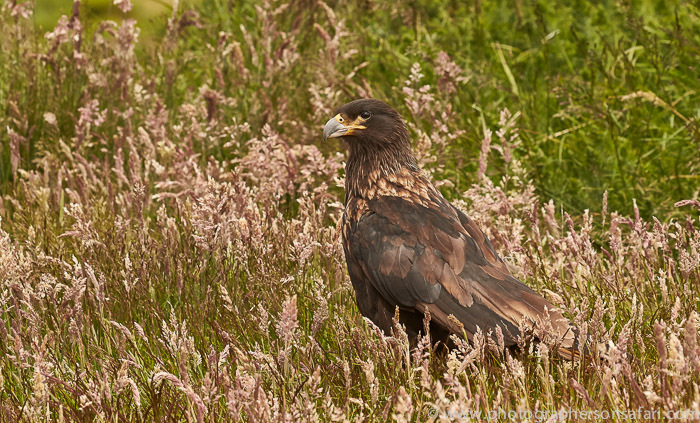 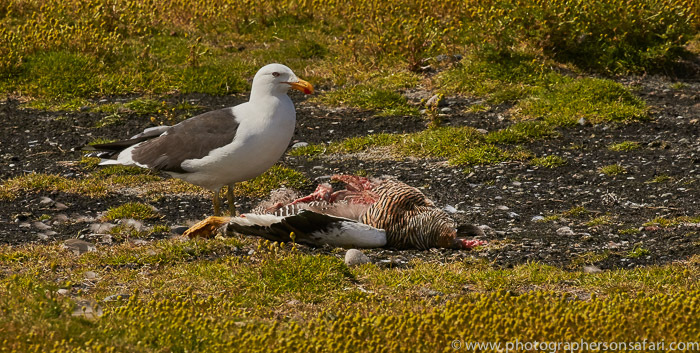 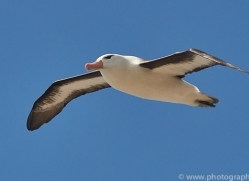 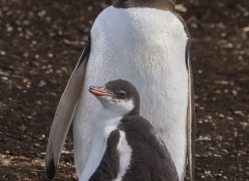 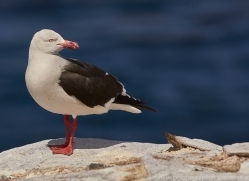 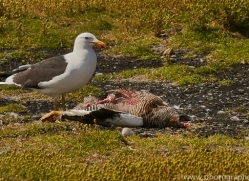 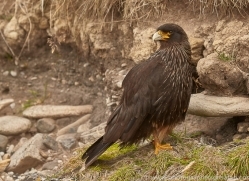 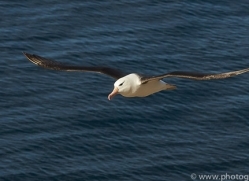 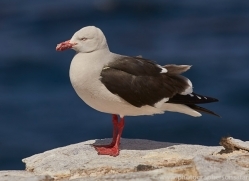 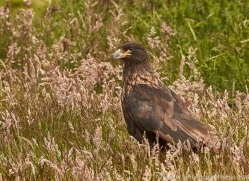 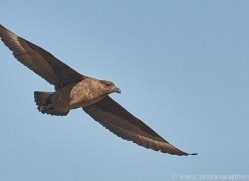 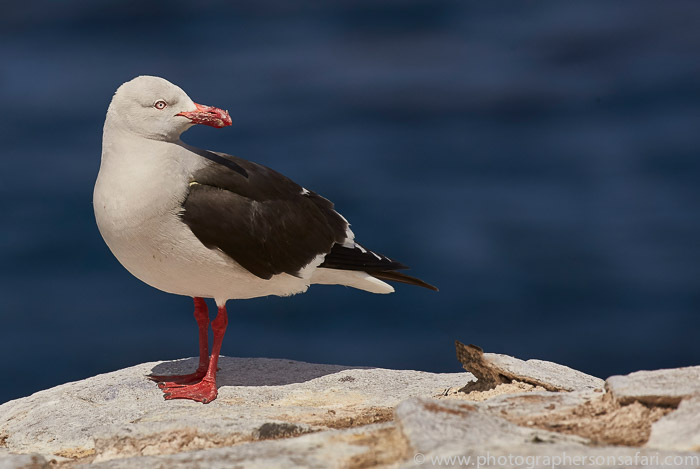 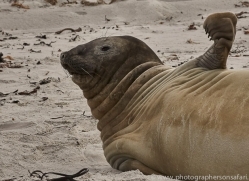 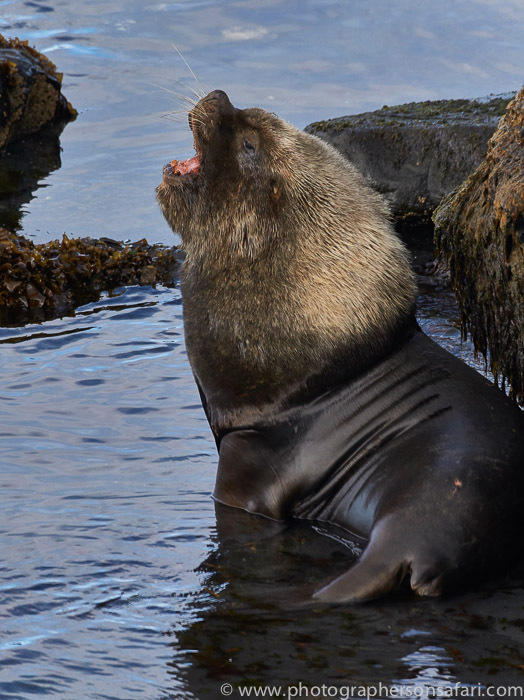 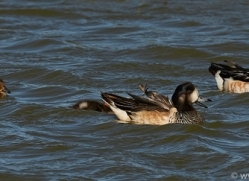 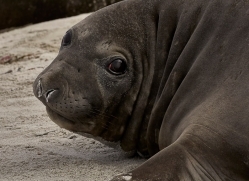 Click here to find out more about this Falkland Islands Trip.